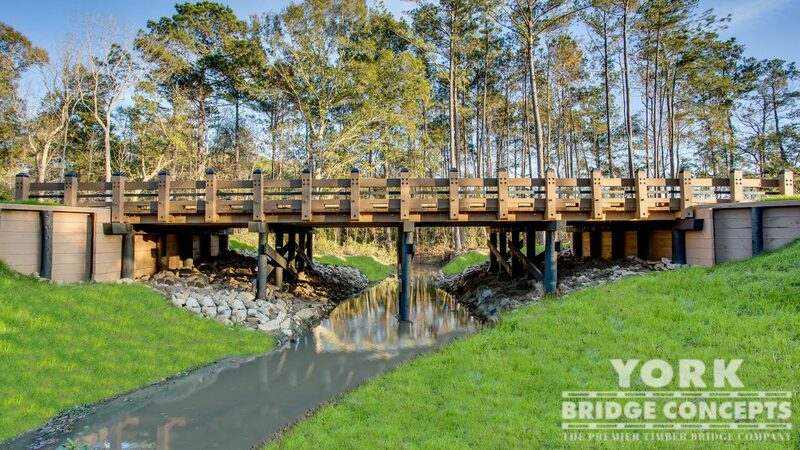 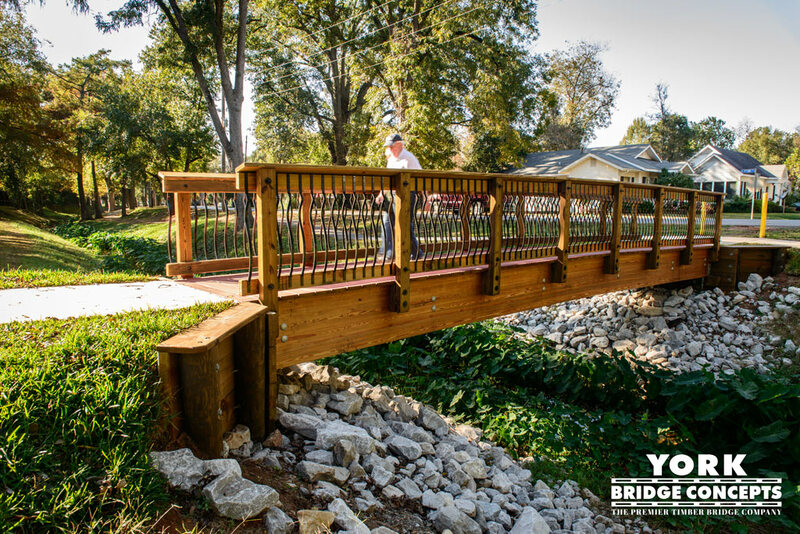 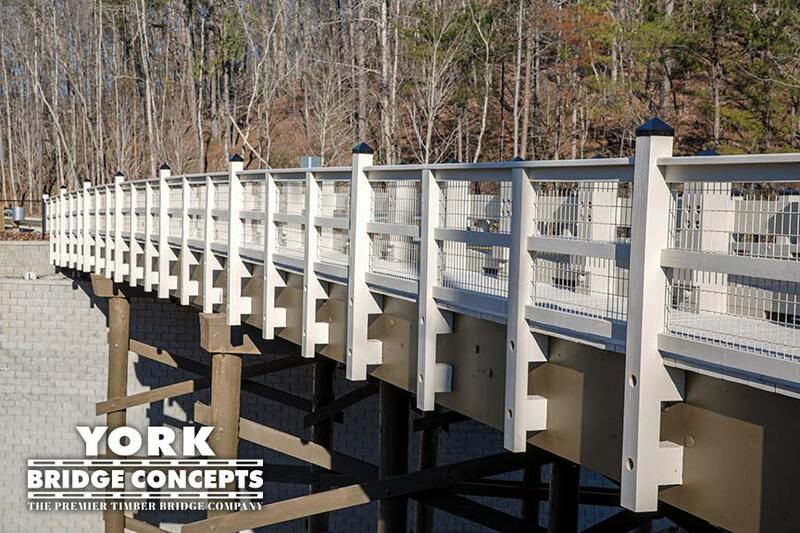 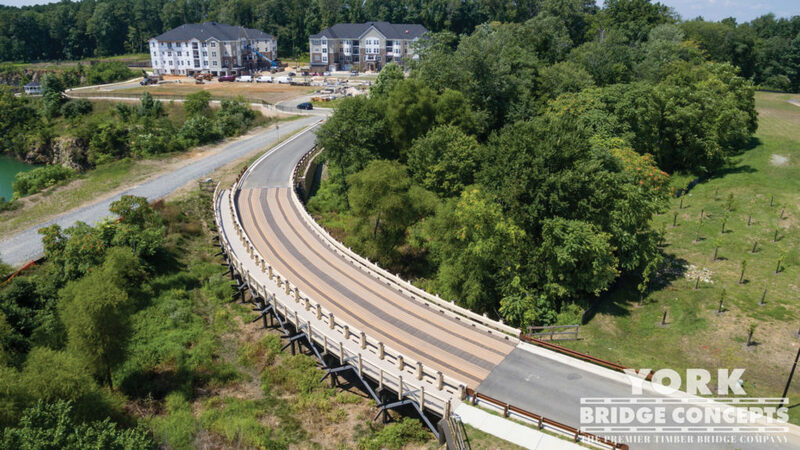 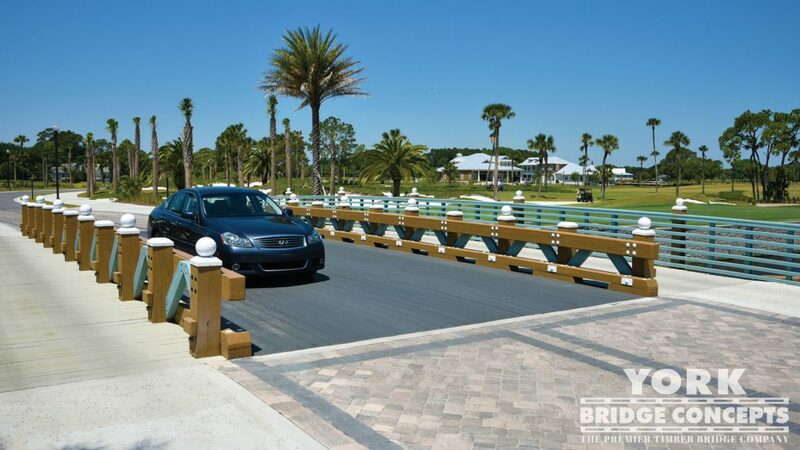 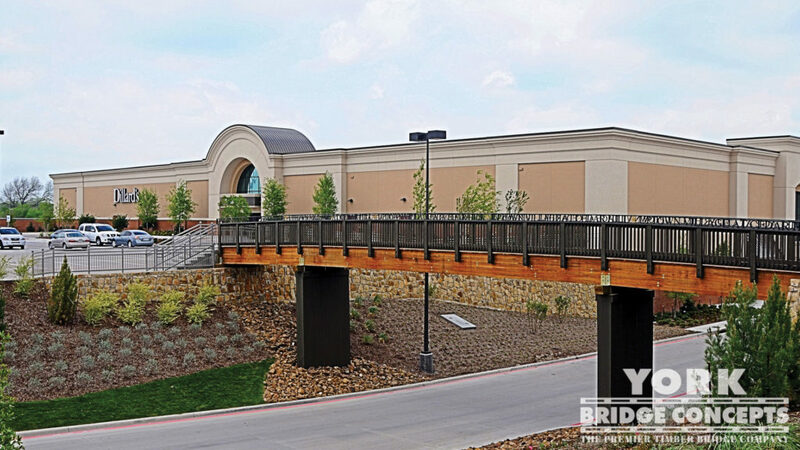 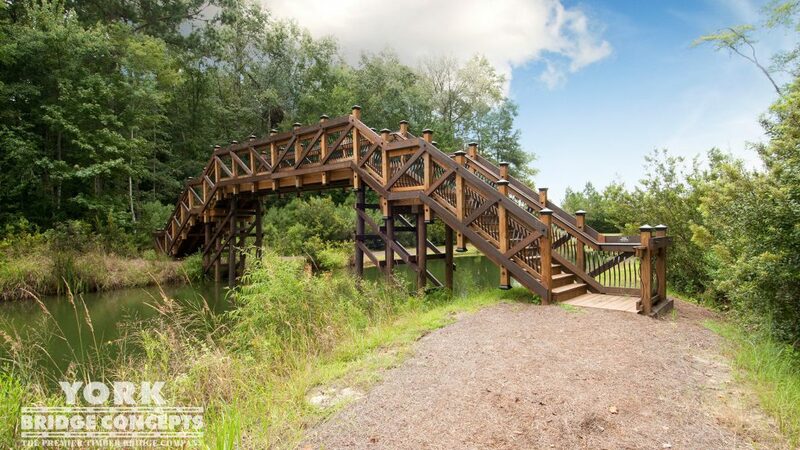 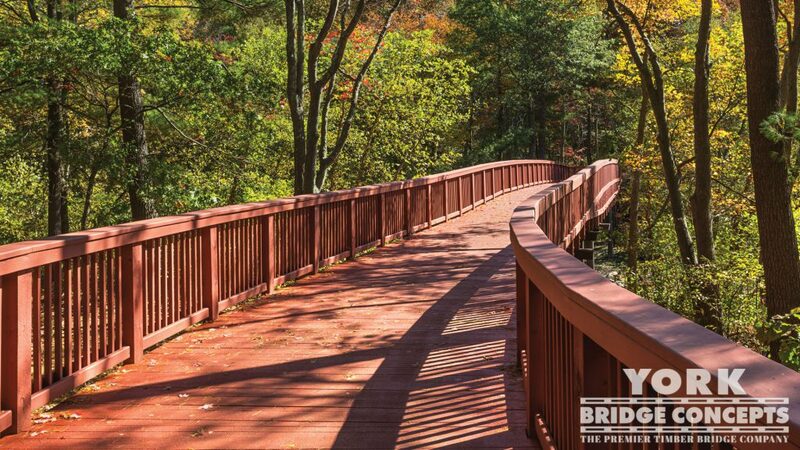 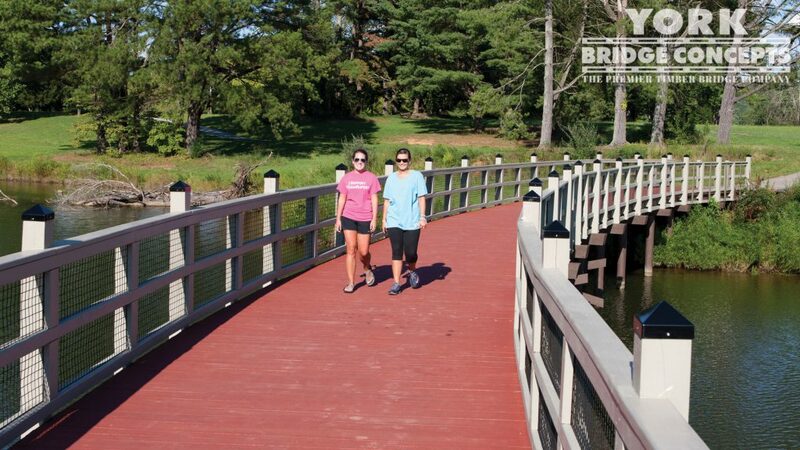 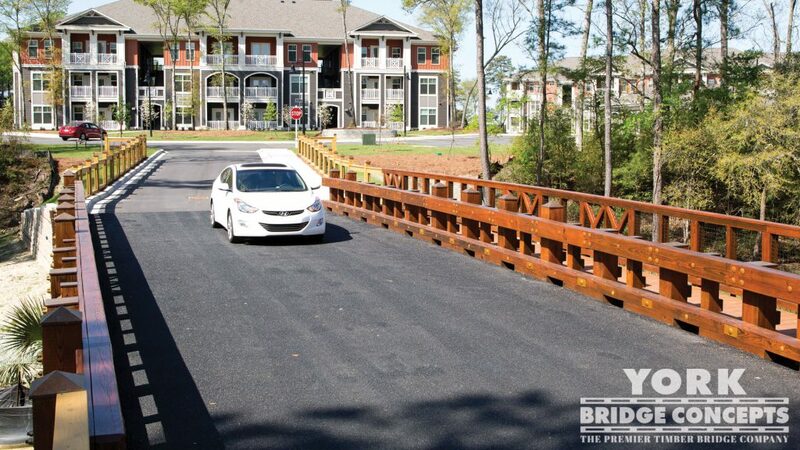 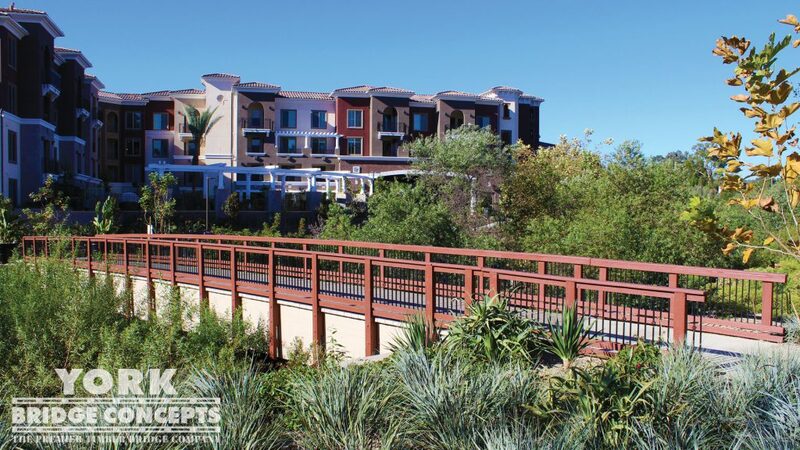 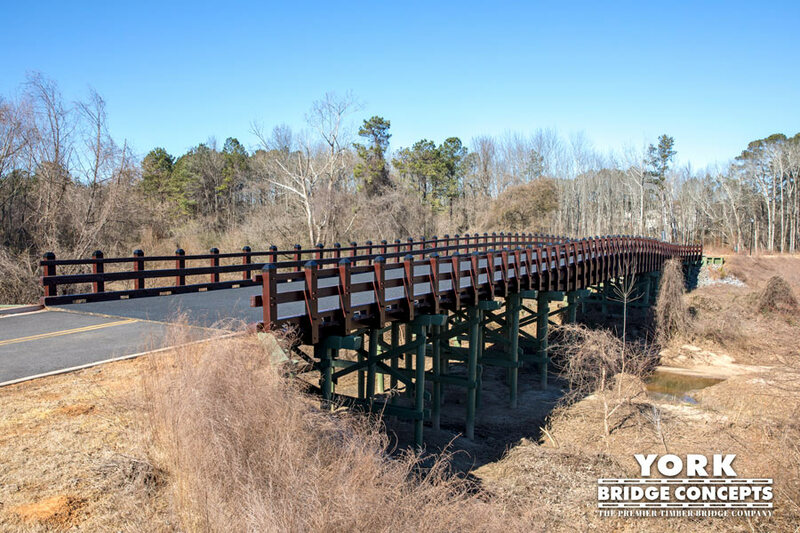 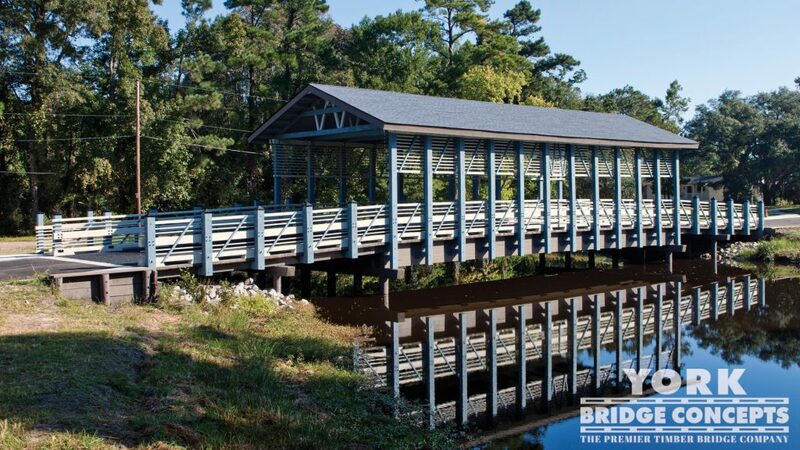 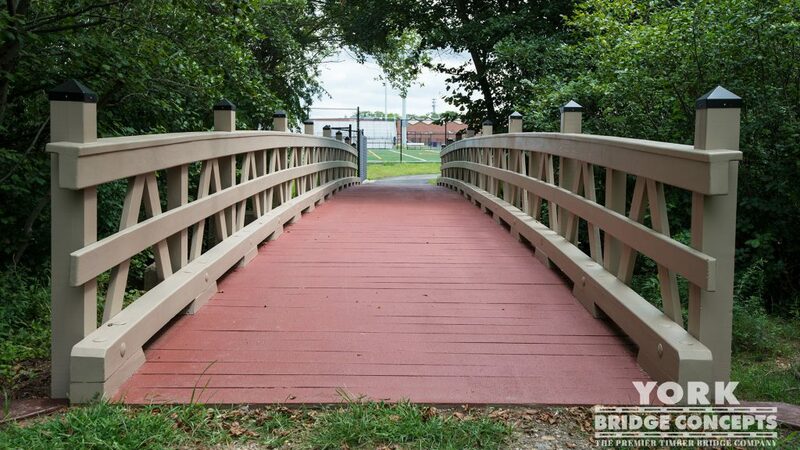 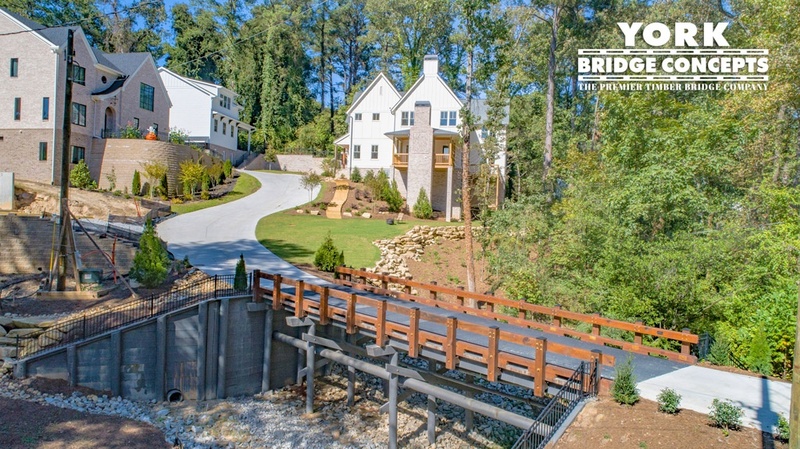 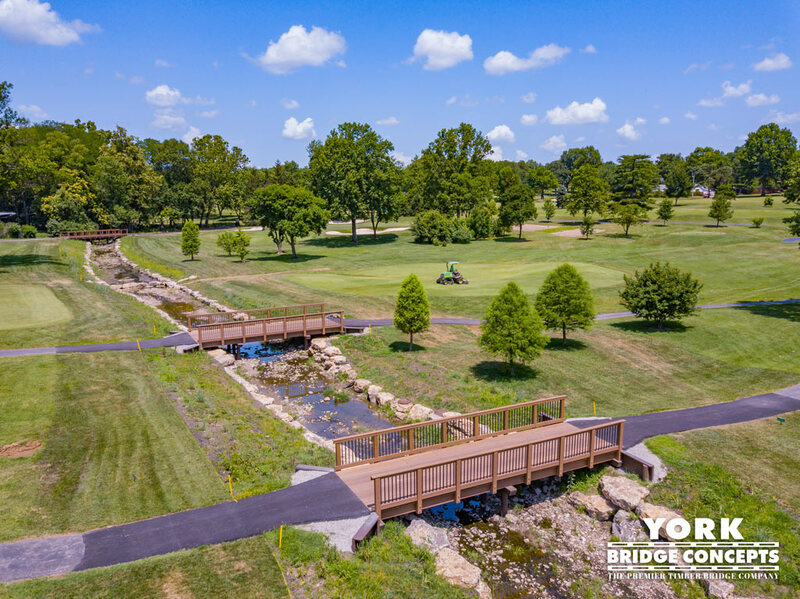 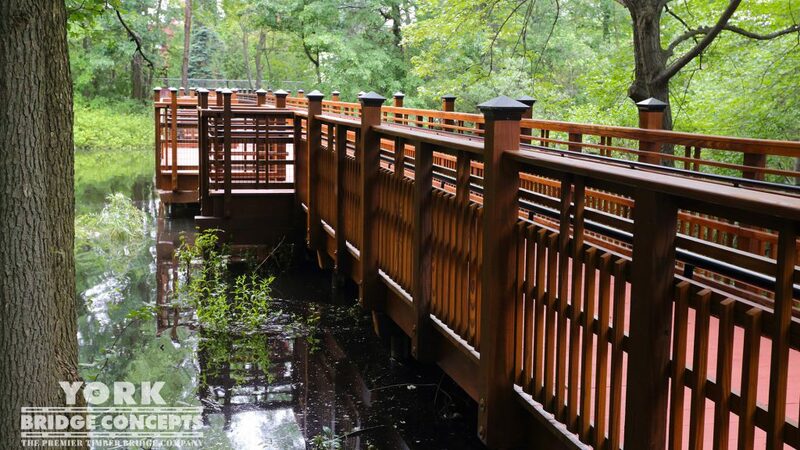 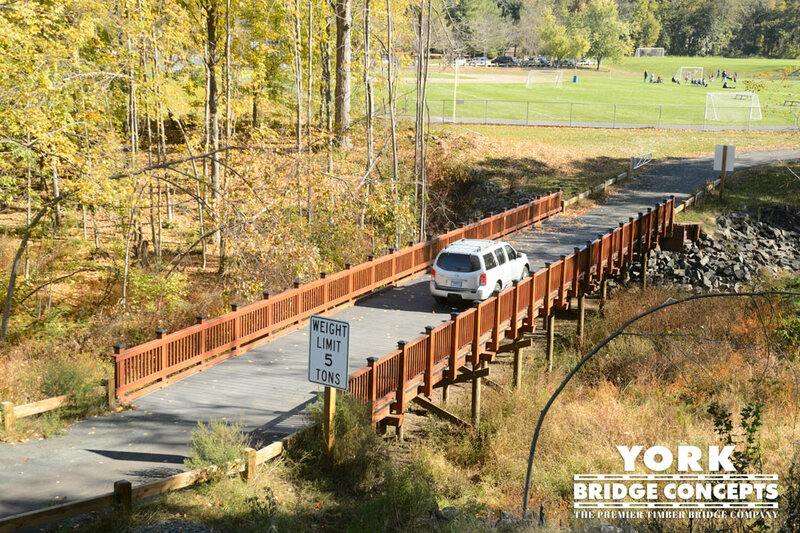 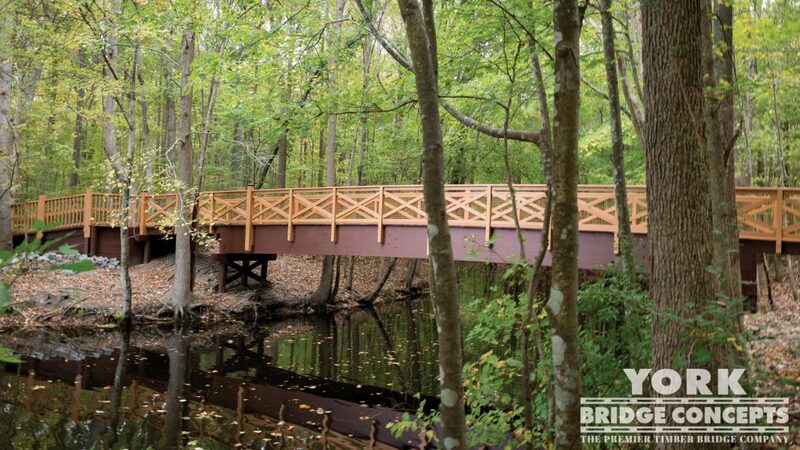 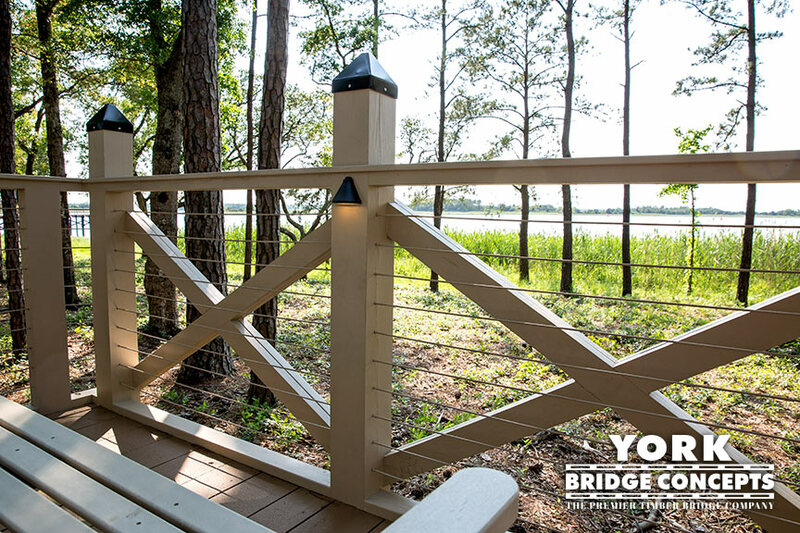 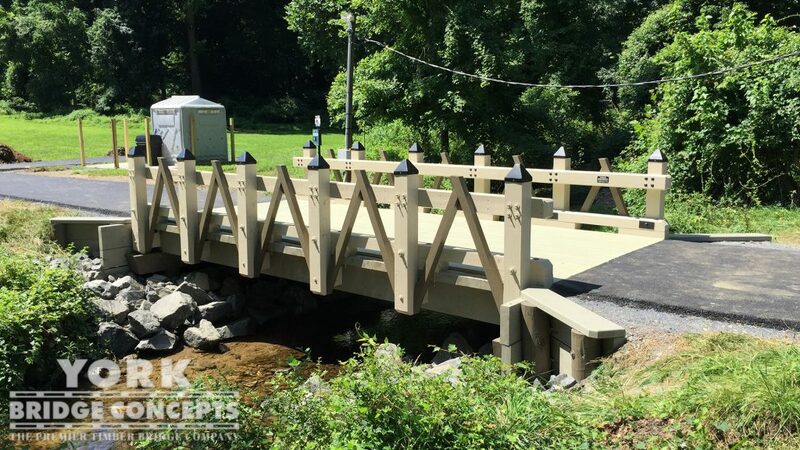 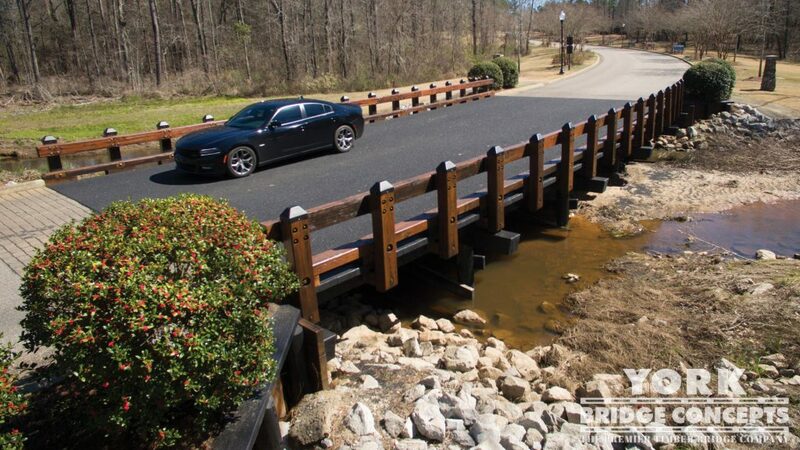 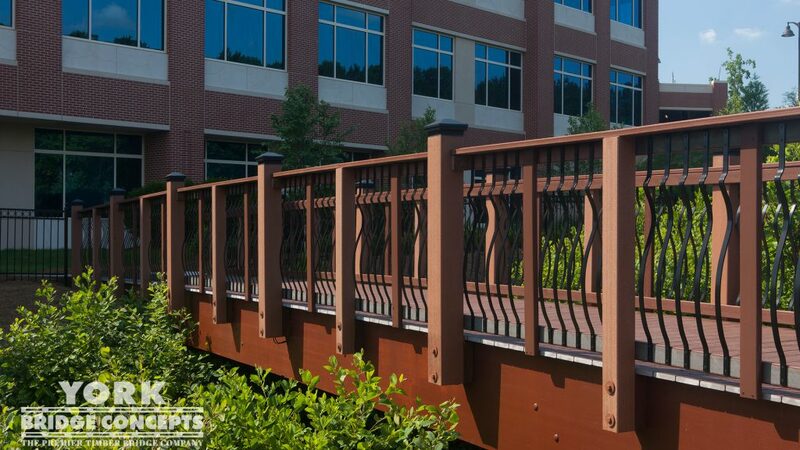 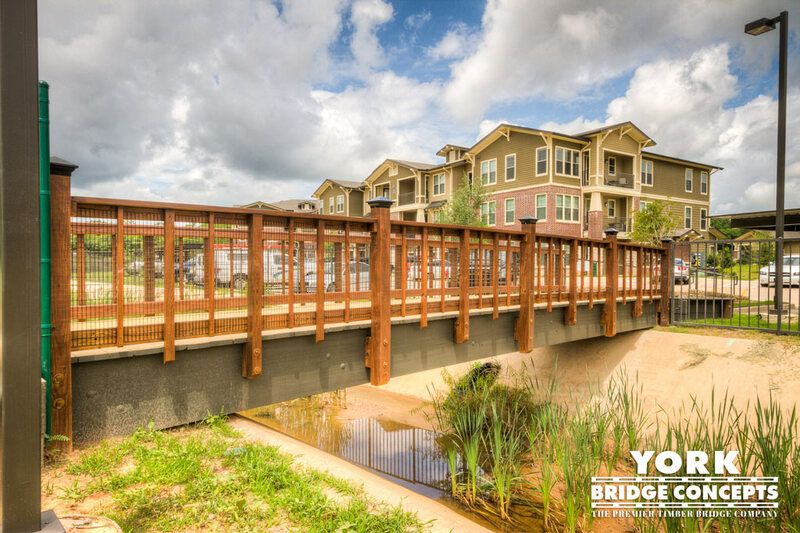 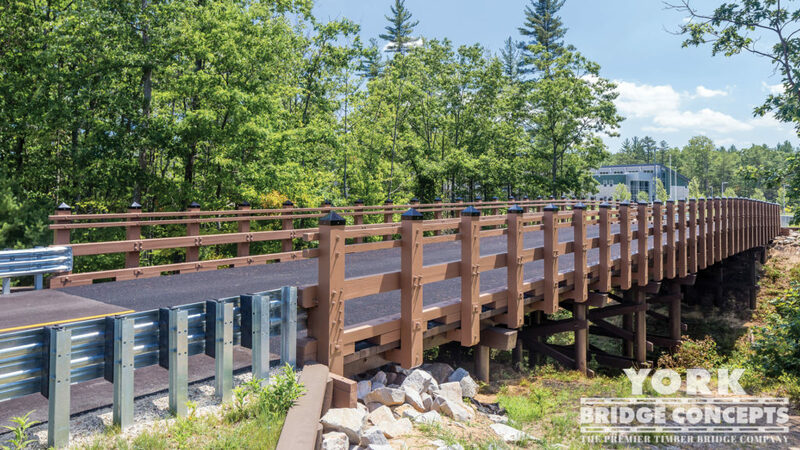 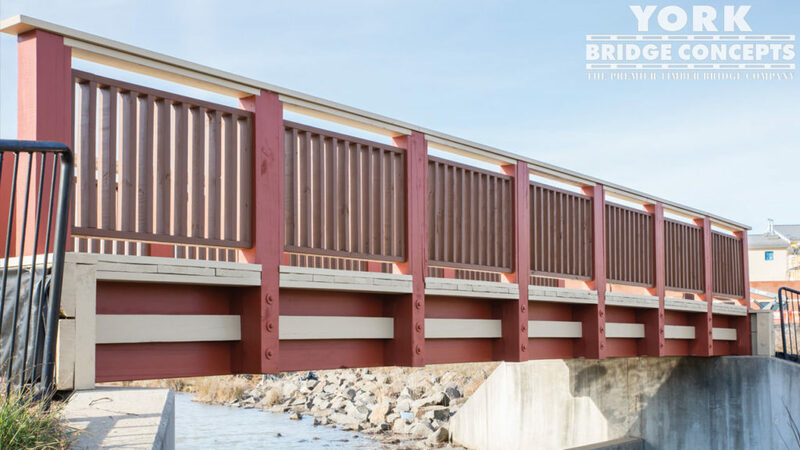 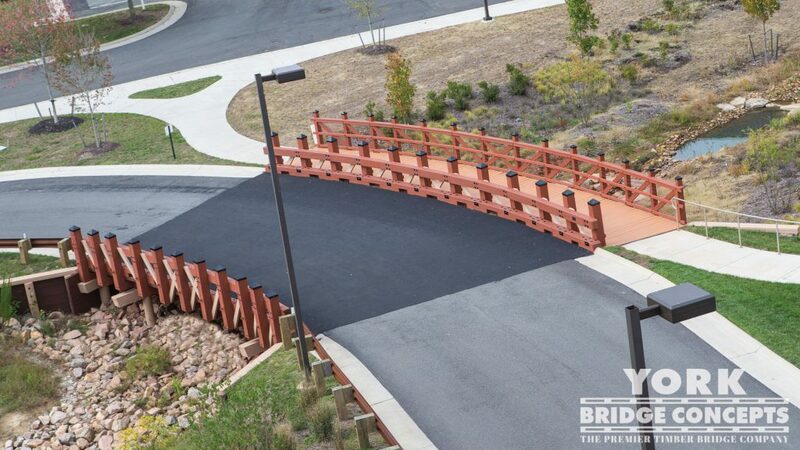 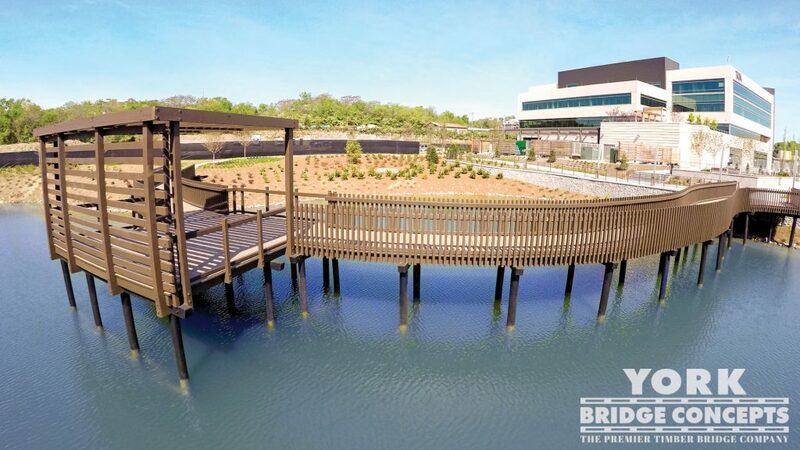 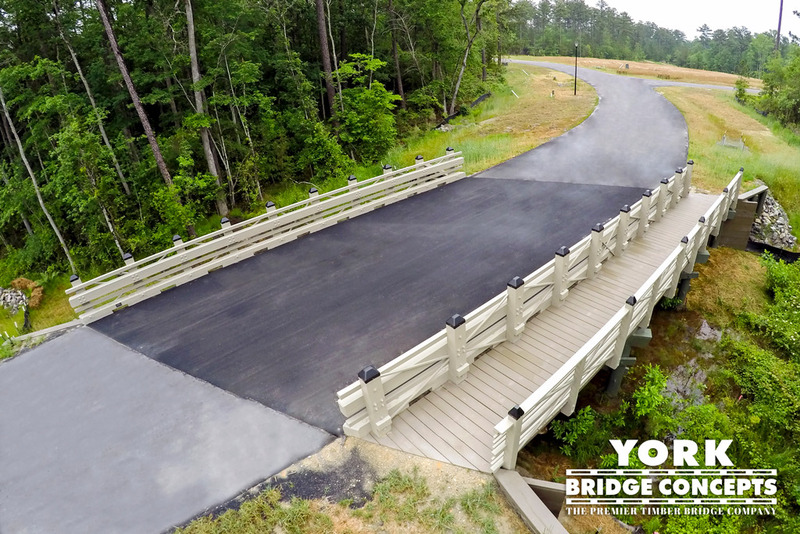 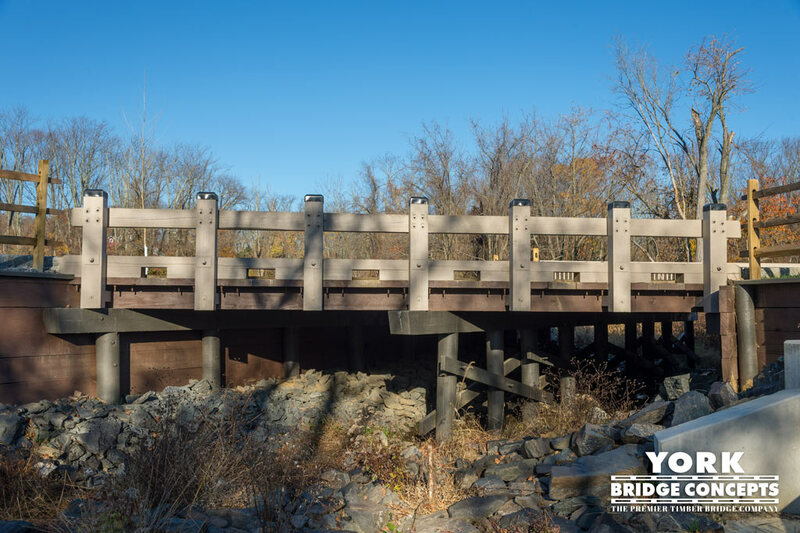 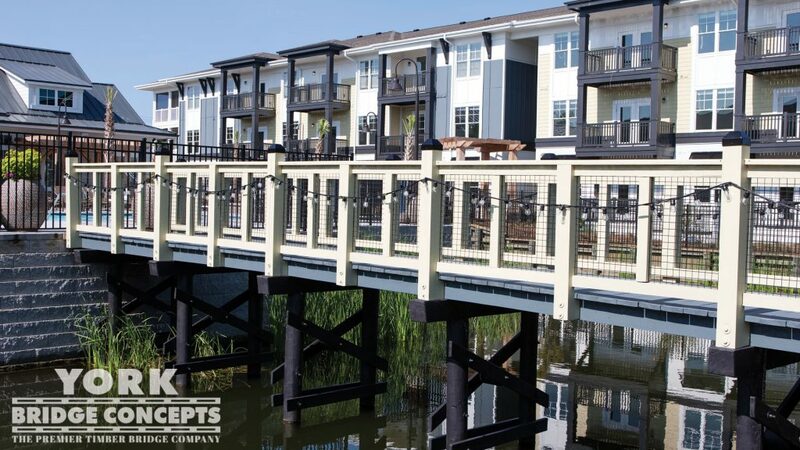 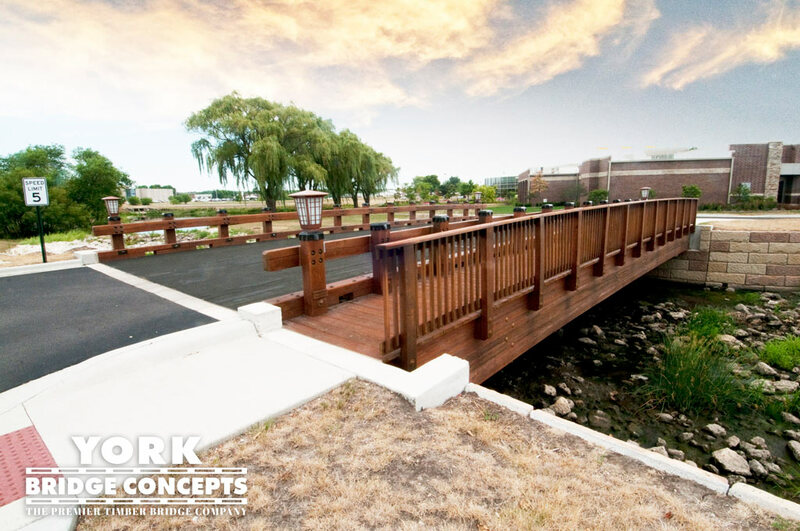 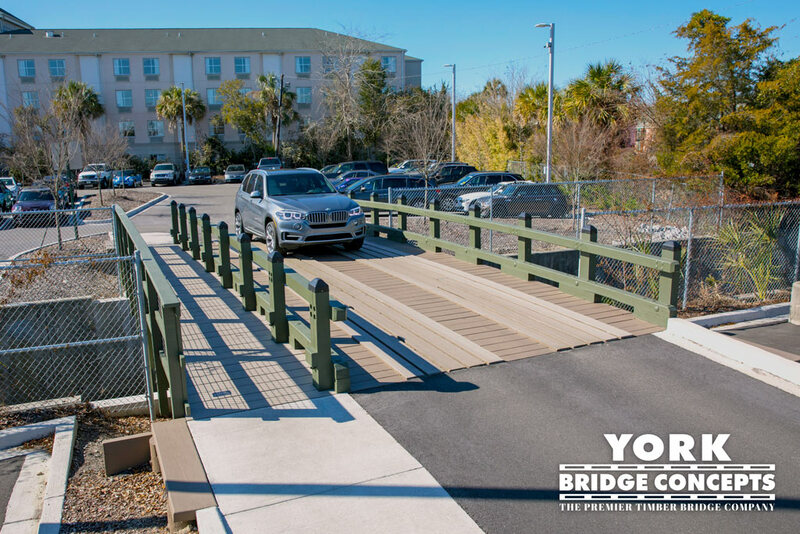 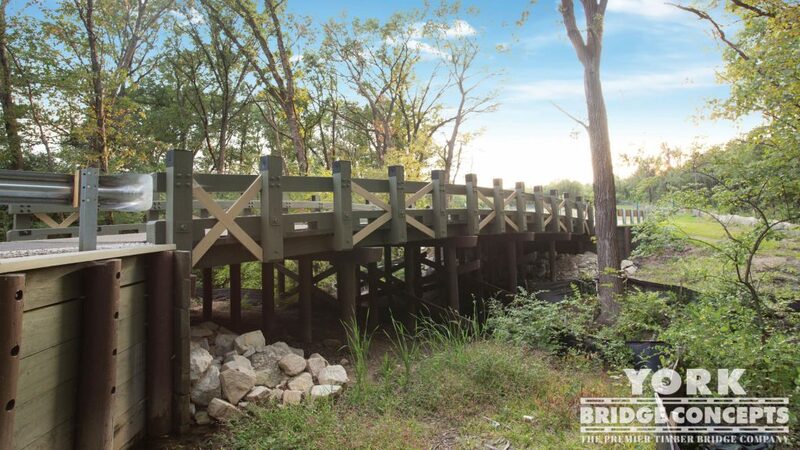 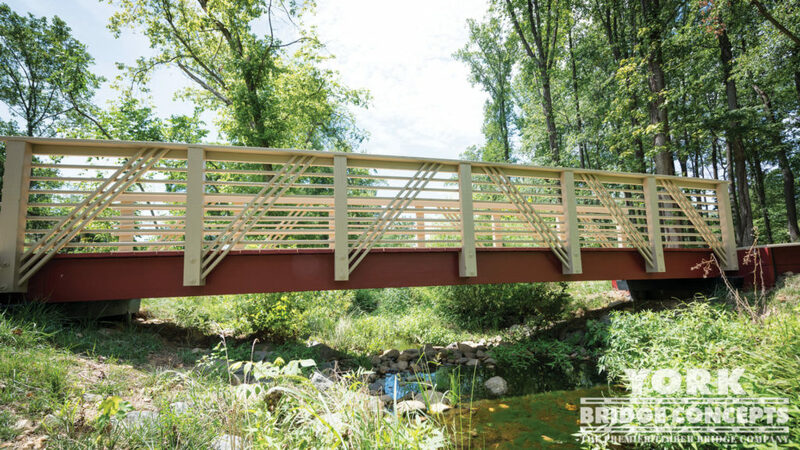 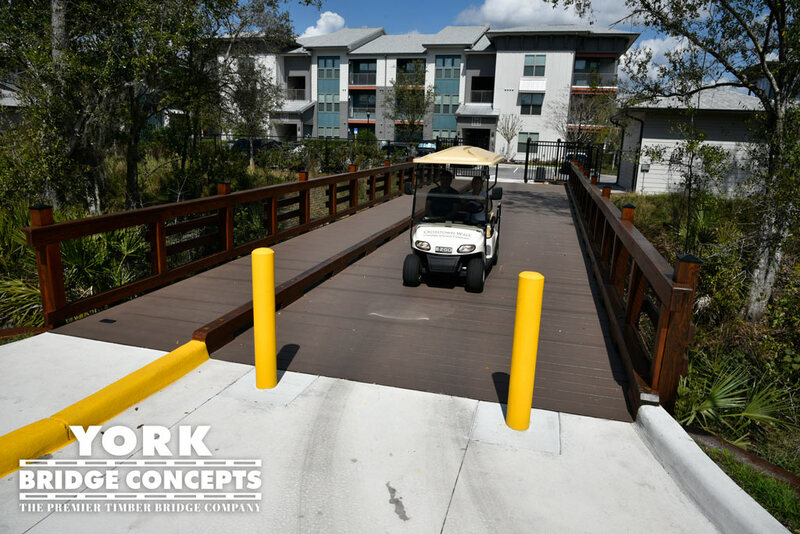 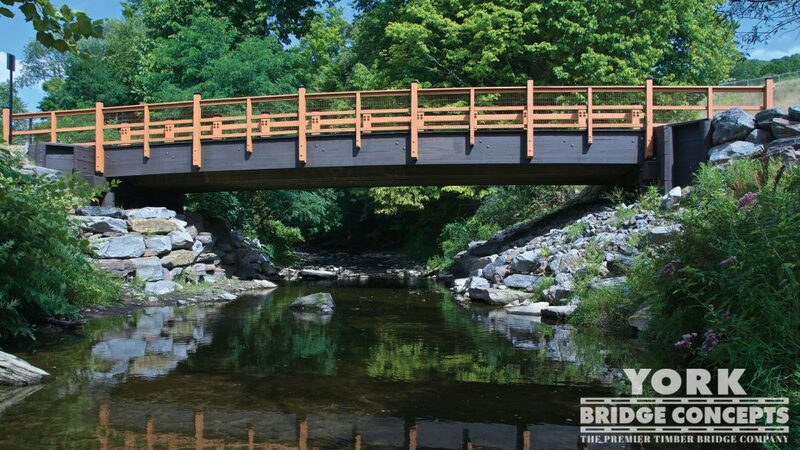 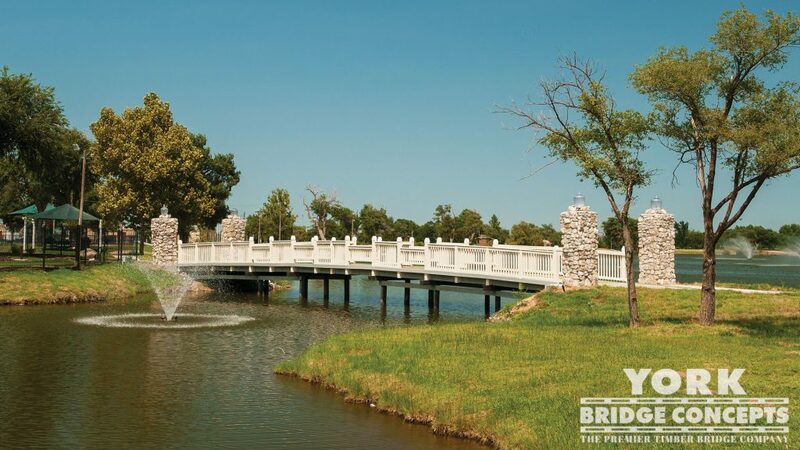 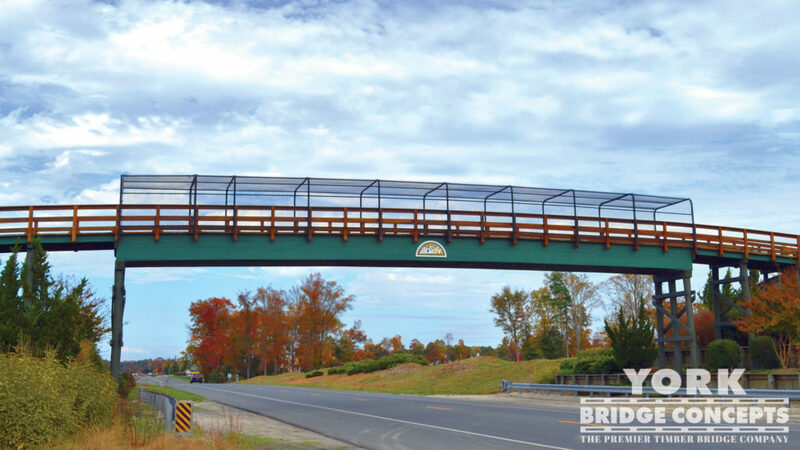 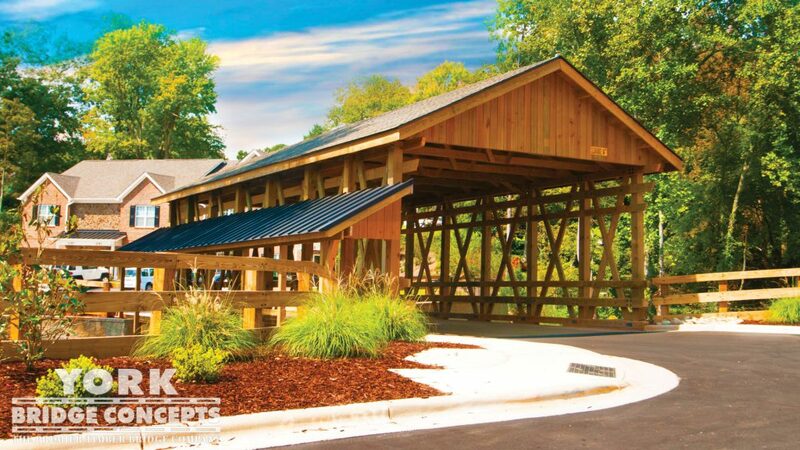 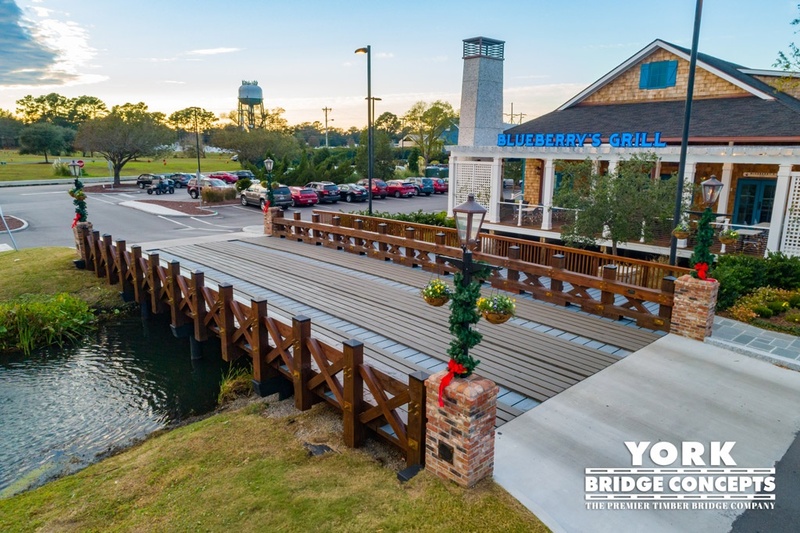 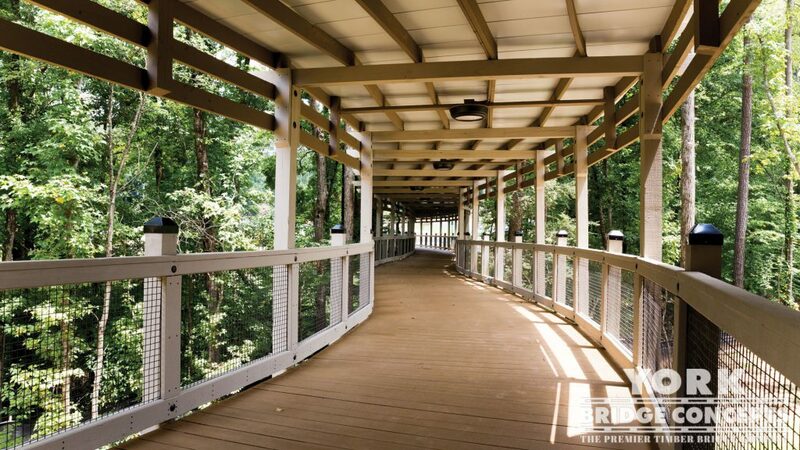 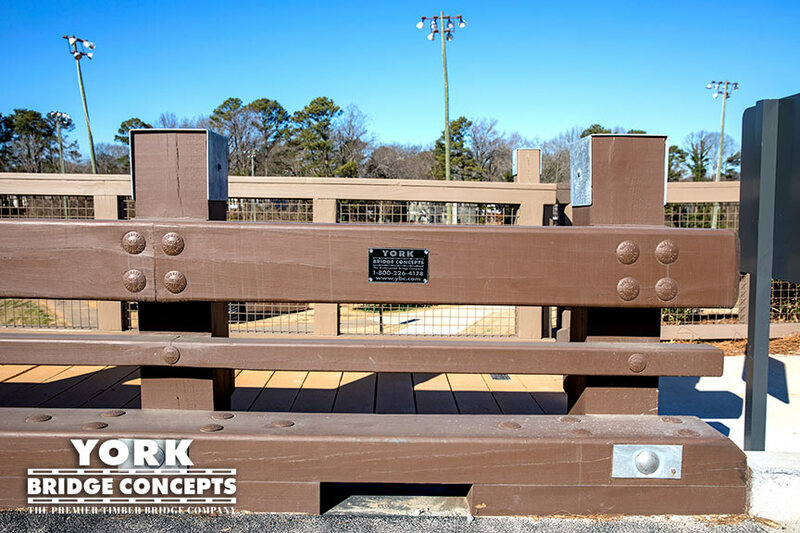 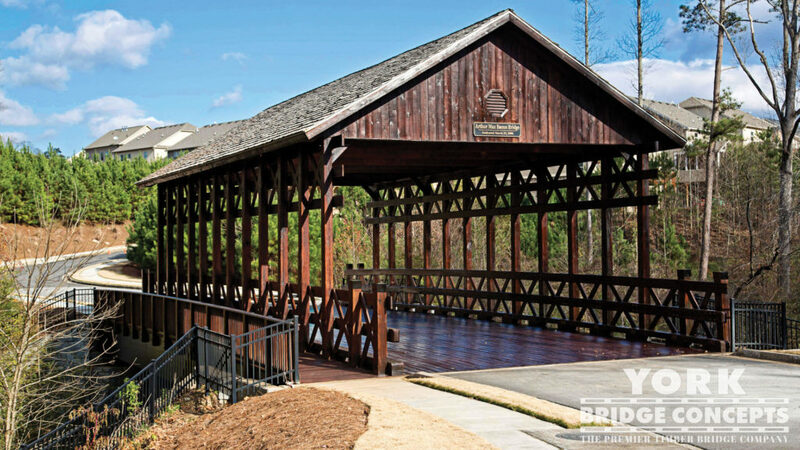 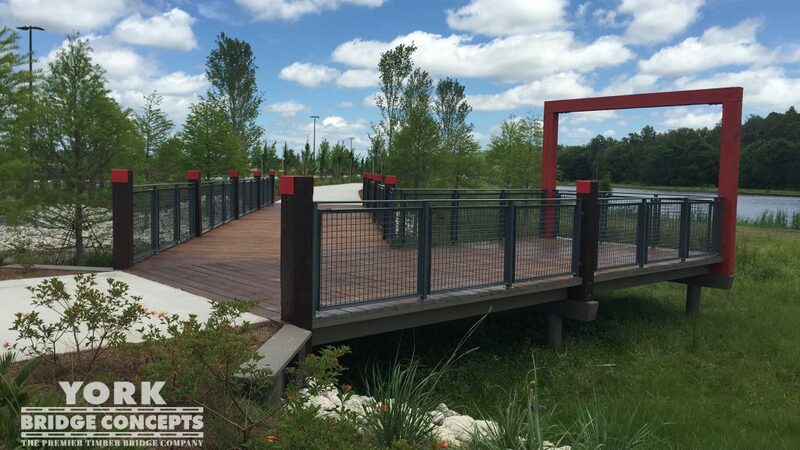 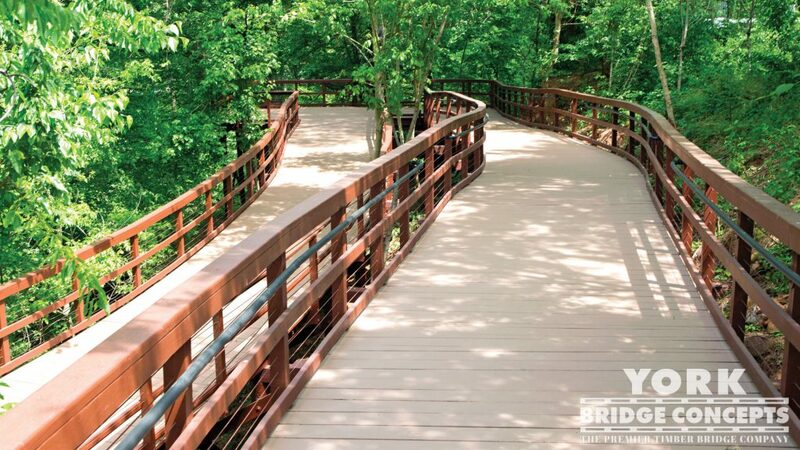 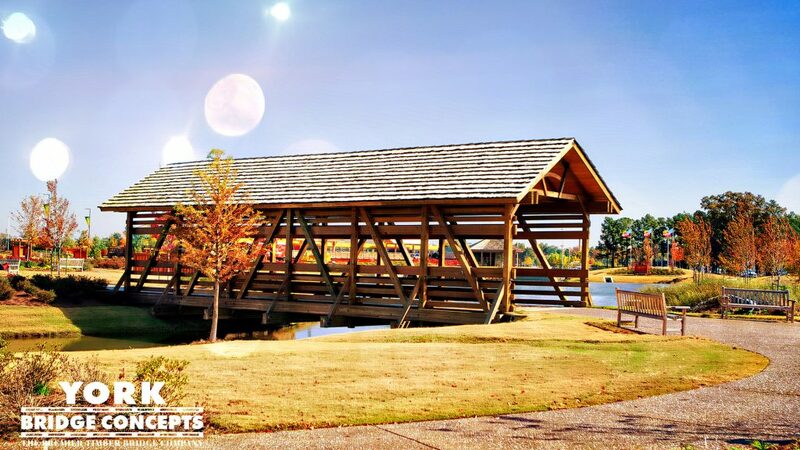 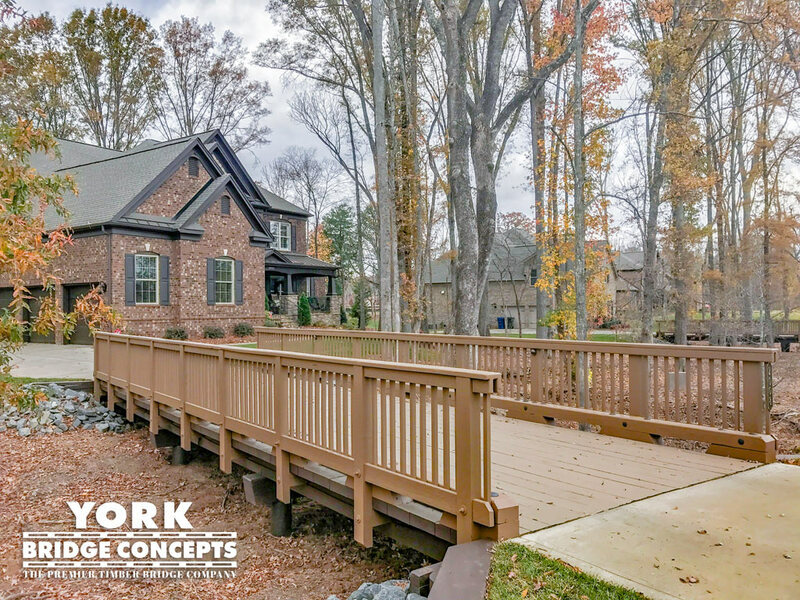 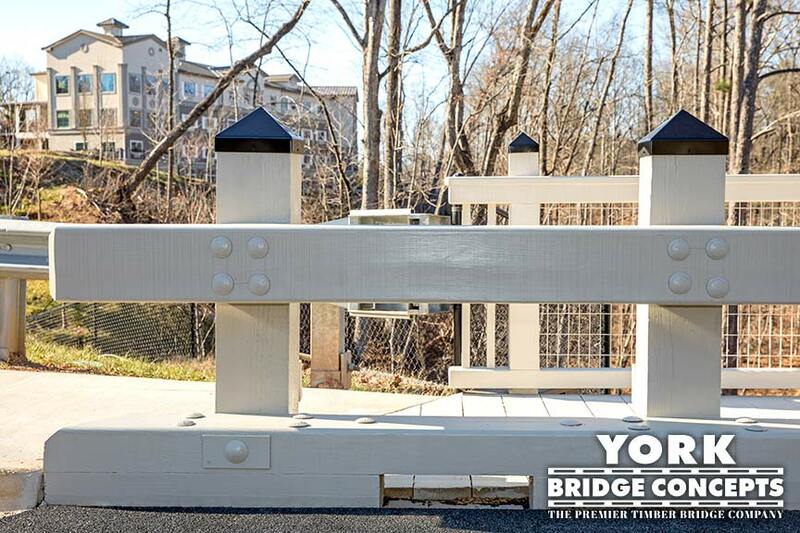 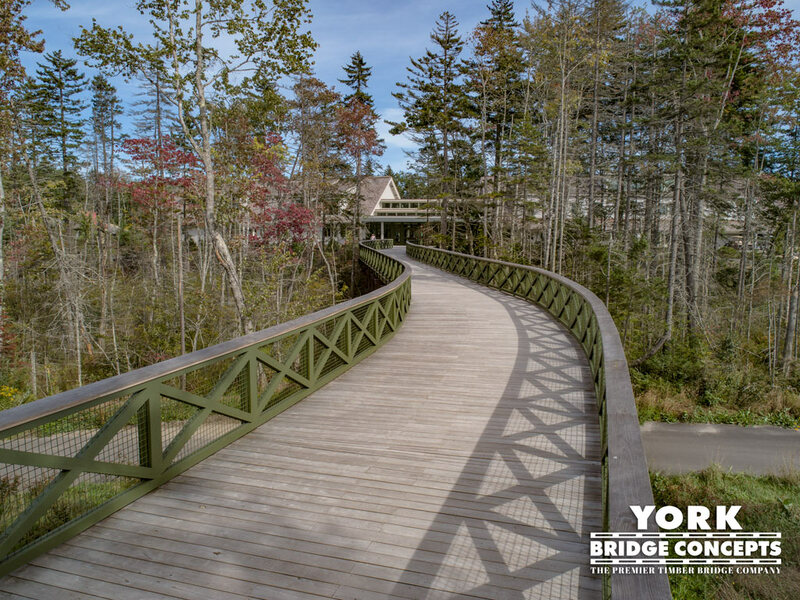 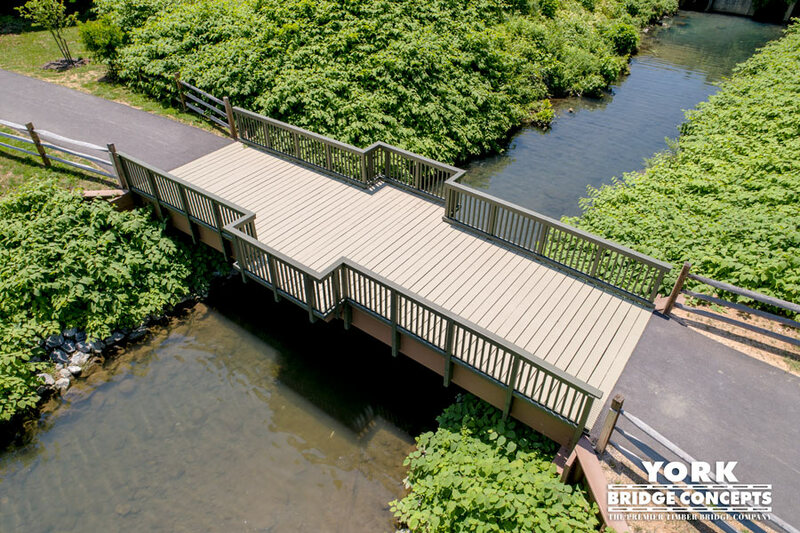 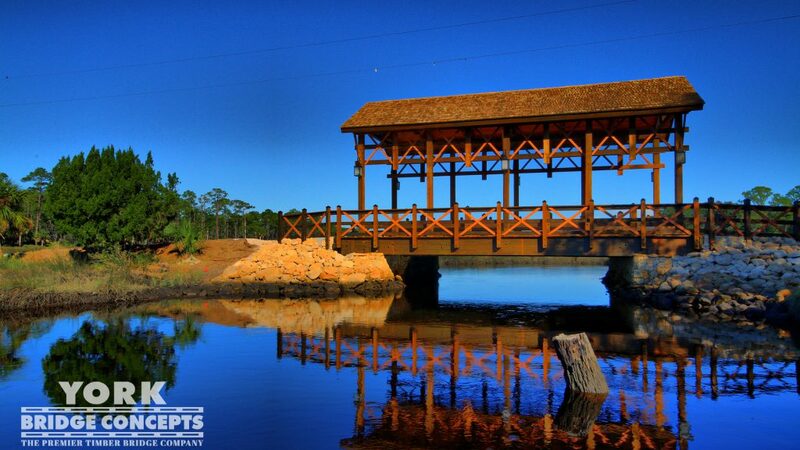 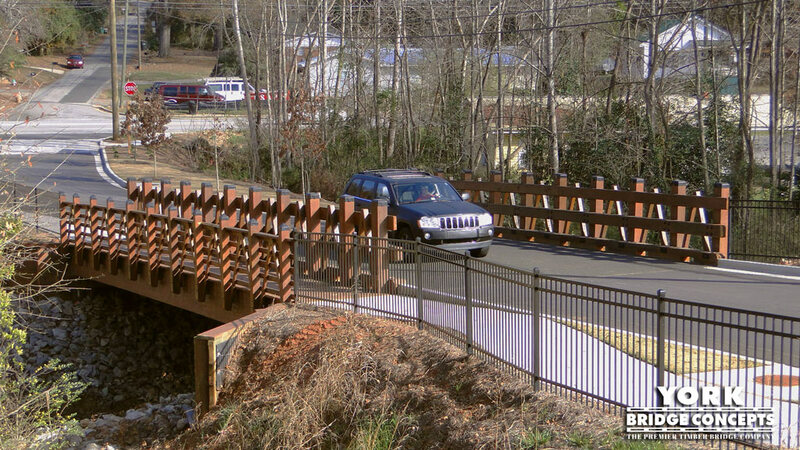 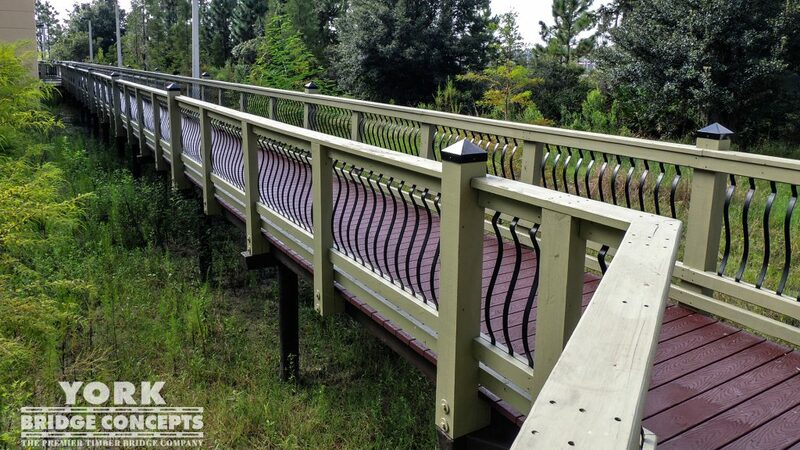 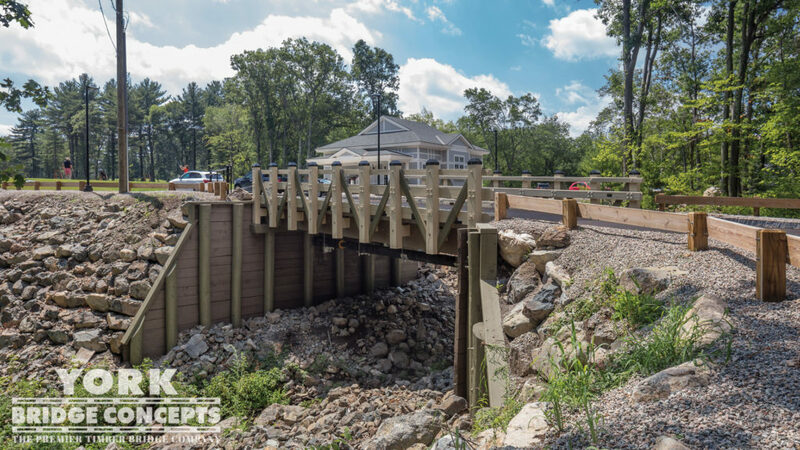 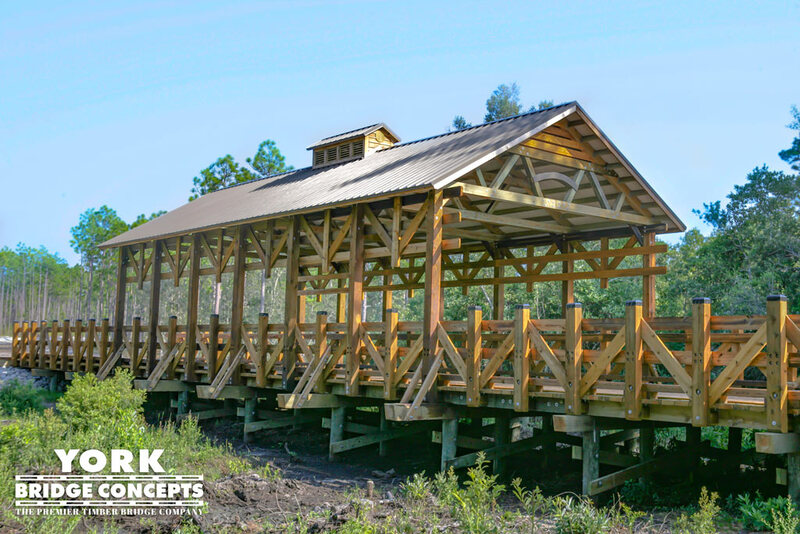 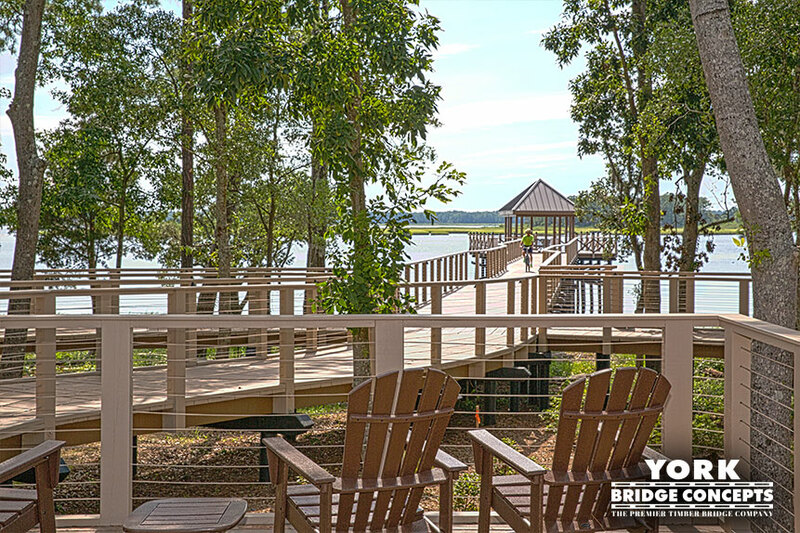 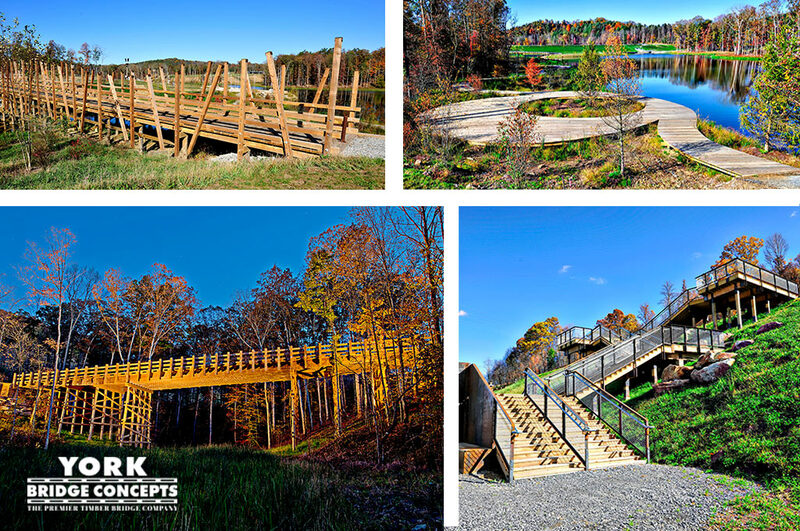 York Bridge Concepts™ has designed & built the York Timber Vehicular Bridge in Bridgeville, Delaware’s 55+ waterfront community, with the region’s premier golf course and event venue. 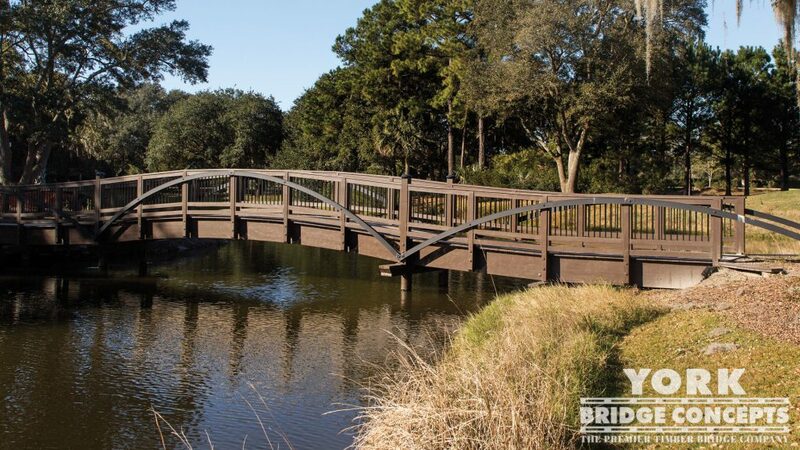 At Heritage Shores, residents and guests can enjoy their new homes along with luxurious amenities, upscale dining, and an Arthur Hills-designed championship golf course. 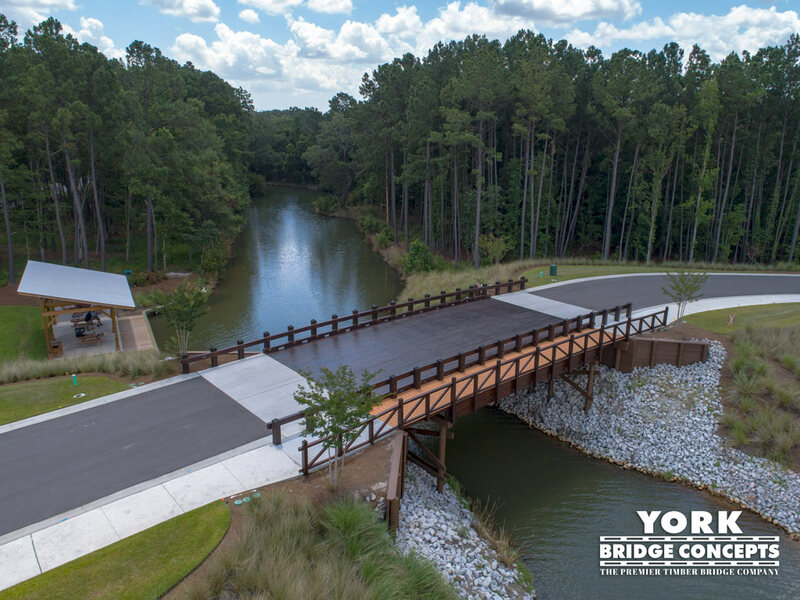 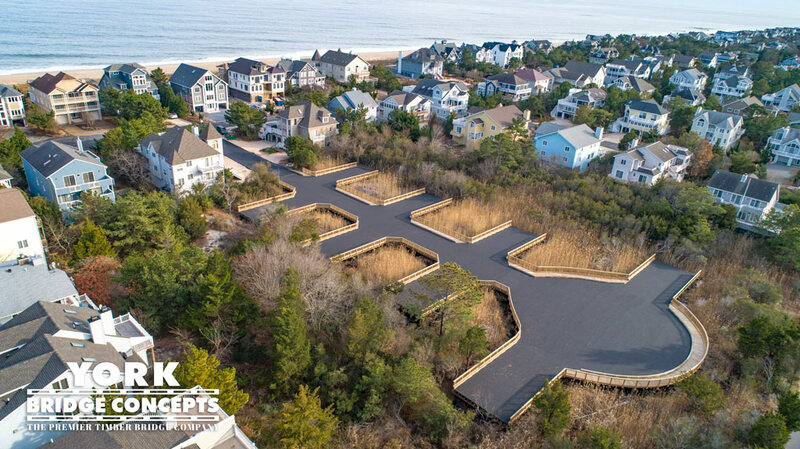 The York Timber Structure combines masterfully with the overall design and look of the Heritage Shores Clubhouse and subdivision with a blended color palette that merges seamlessly into the landscape. 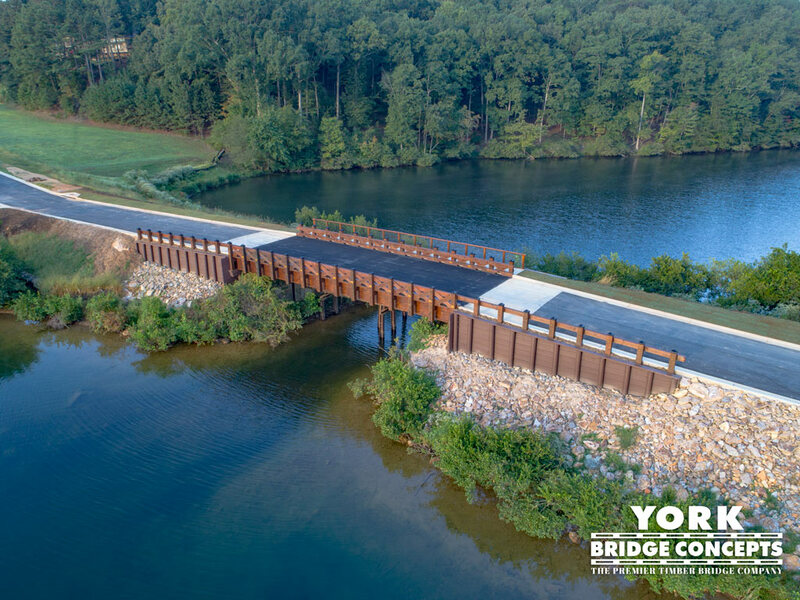 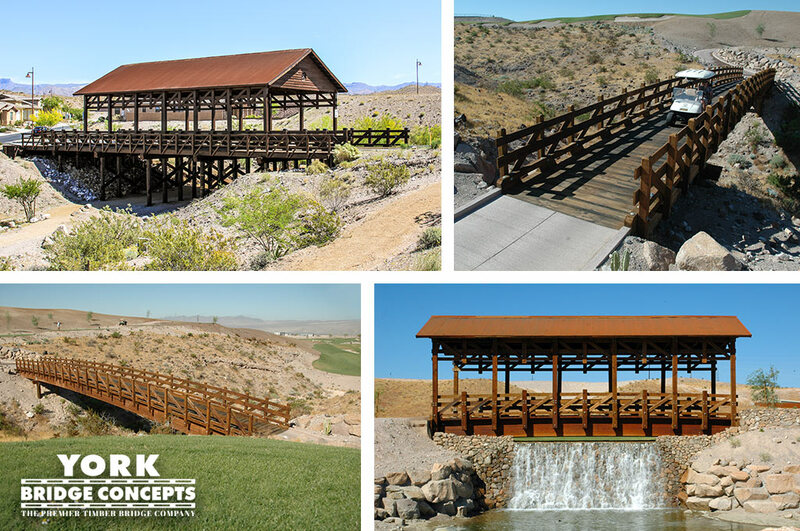 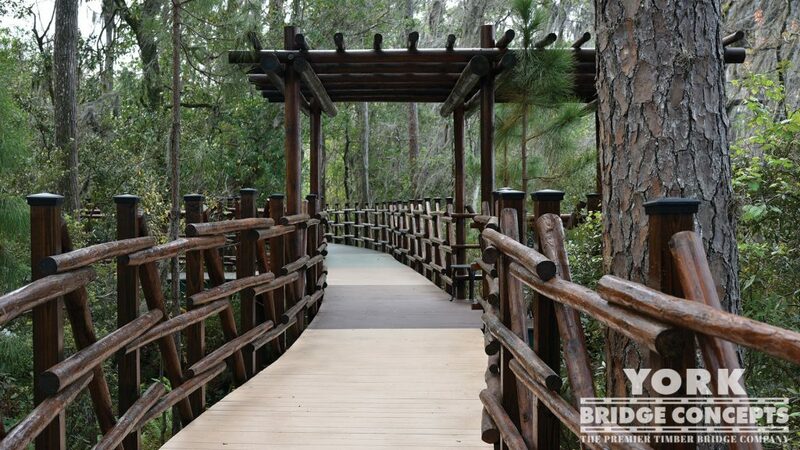 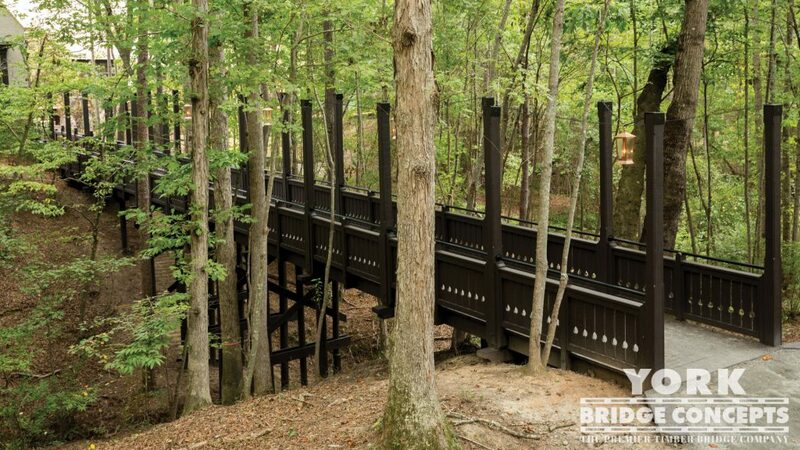 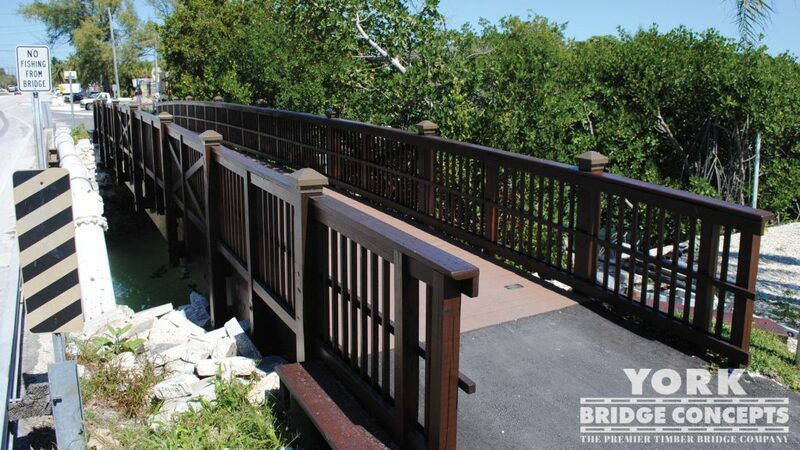 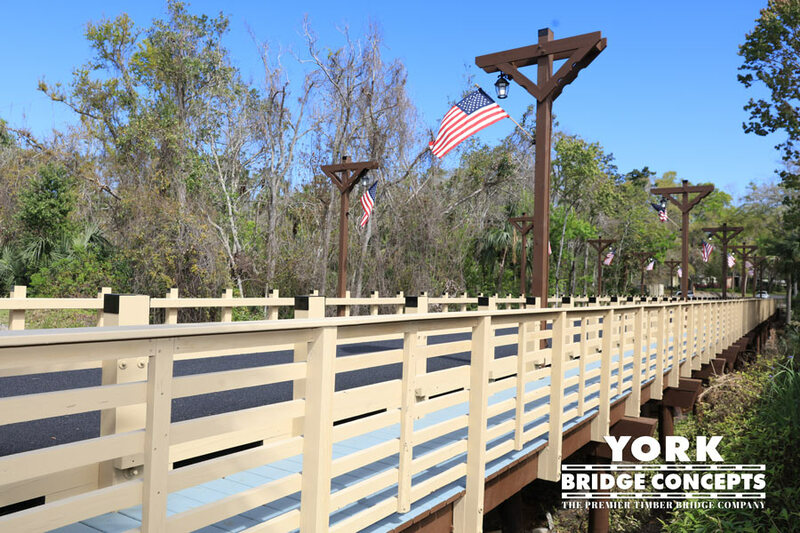 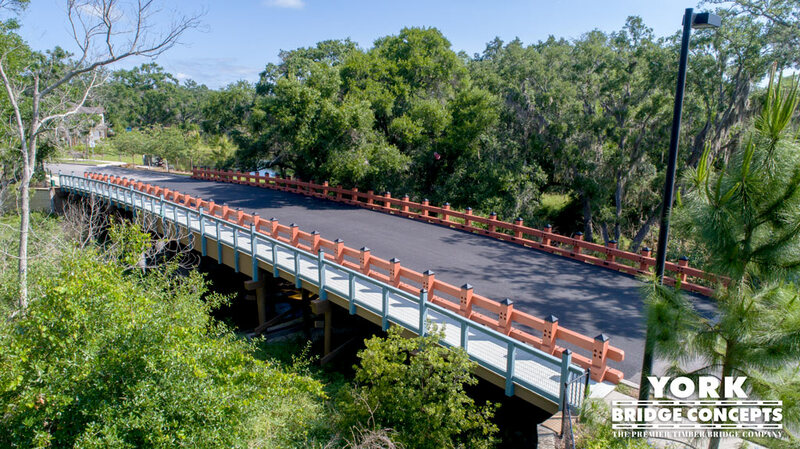 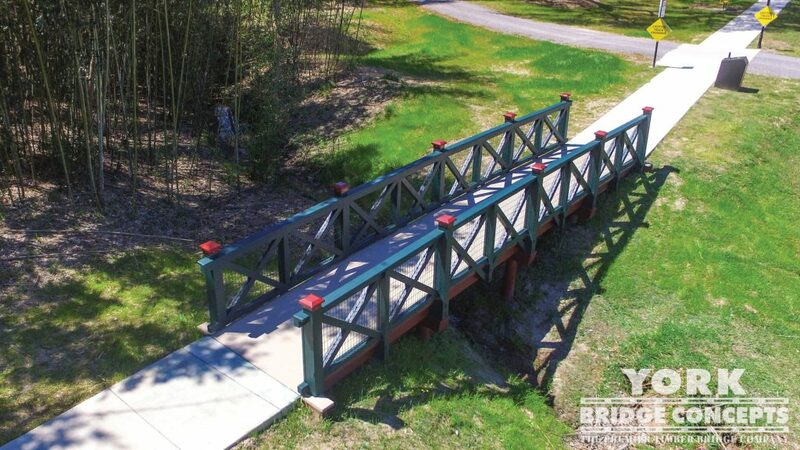 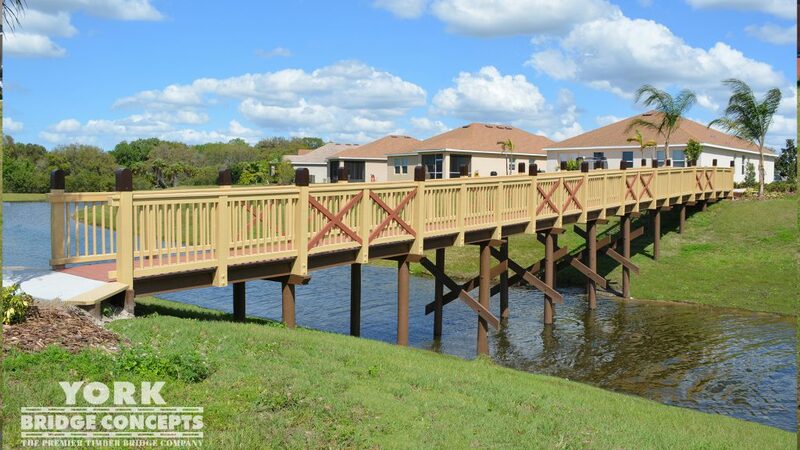 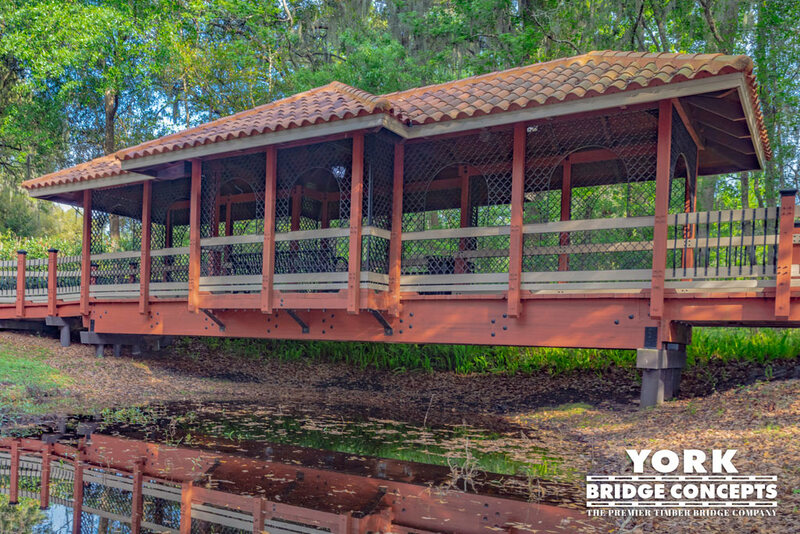 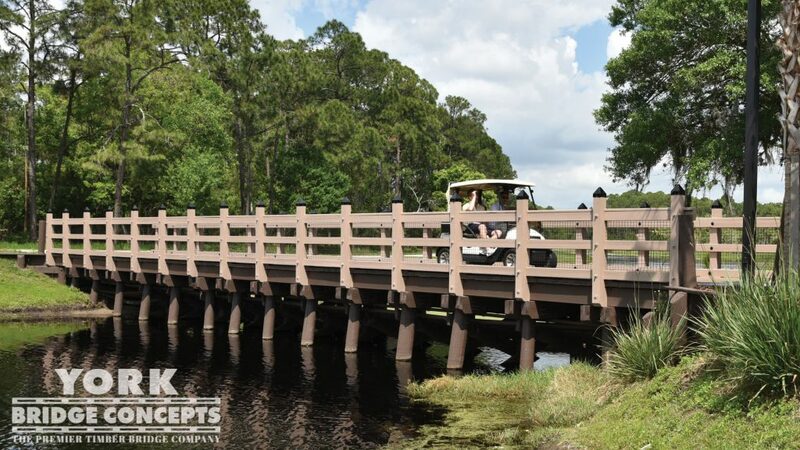 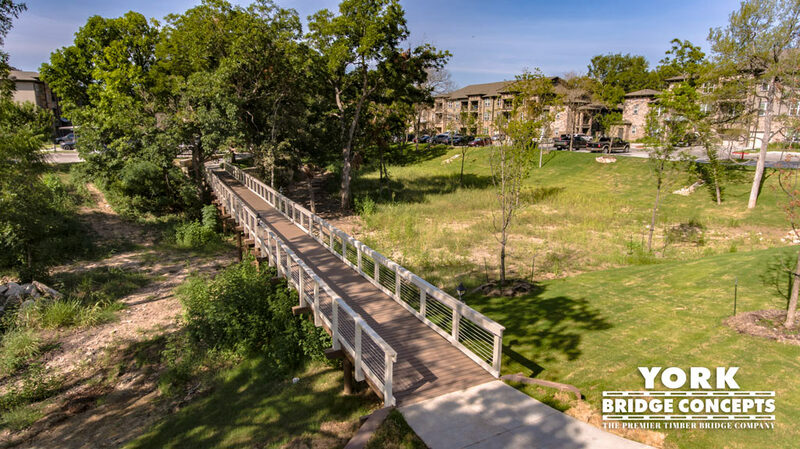 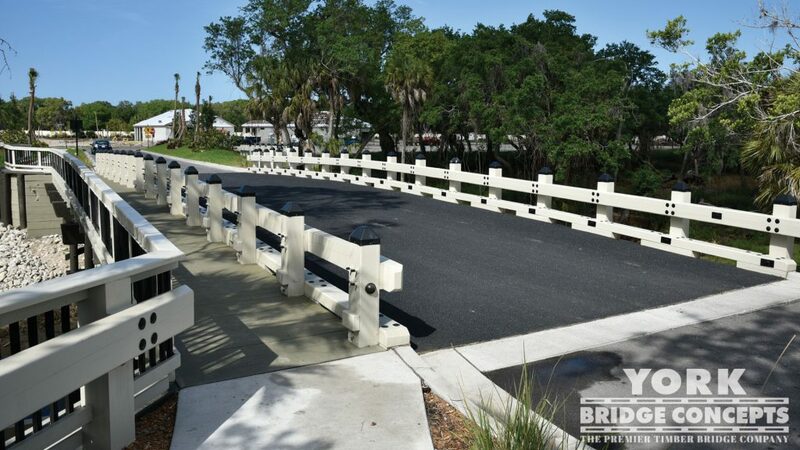 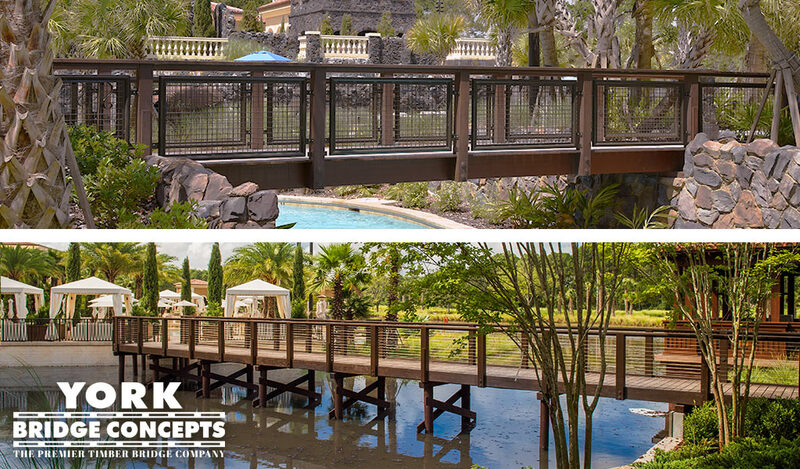 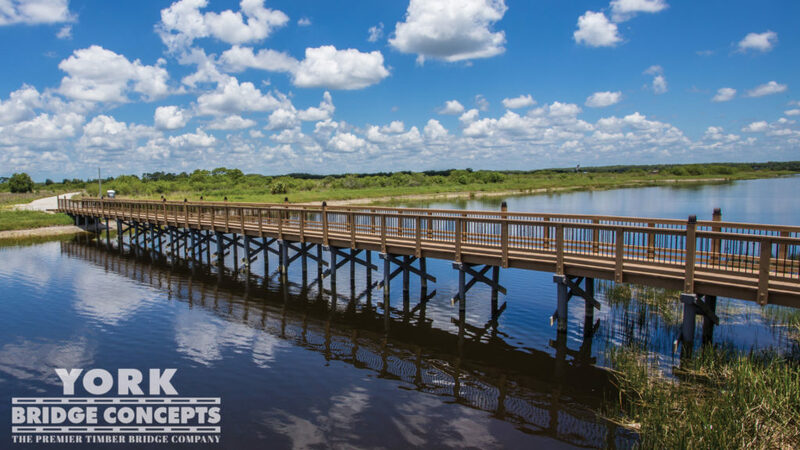 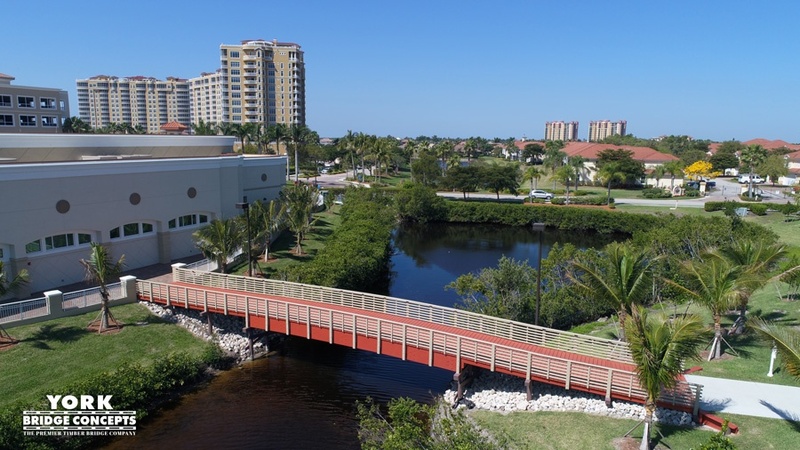 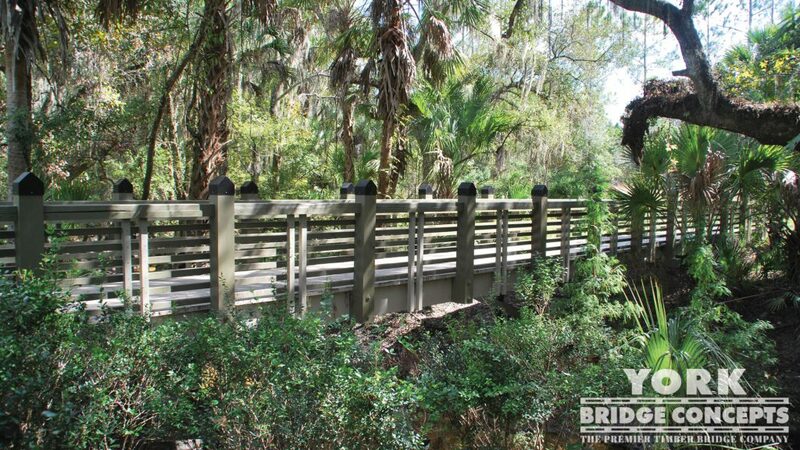 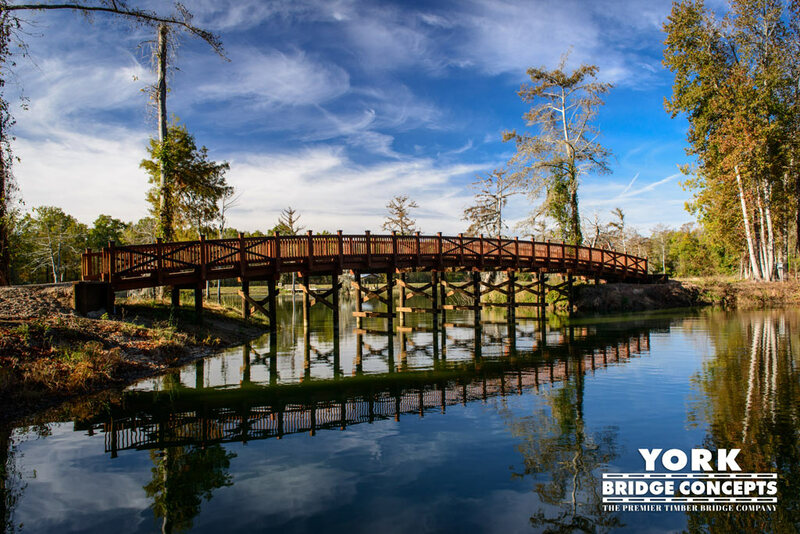 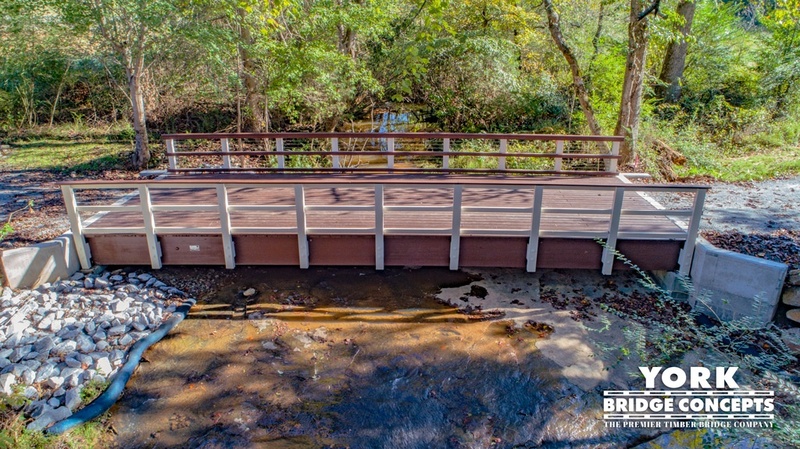 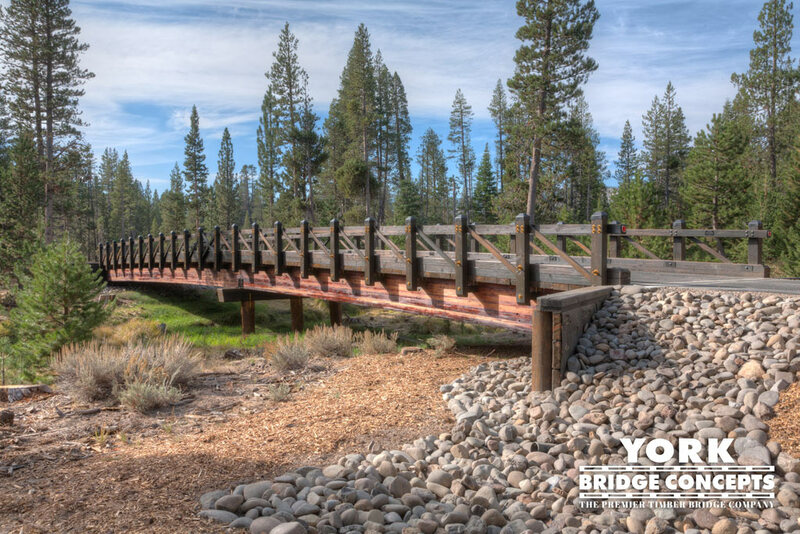 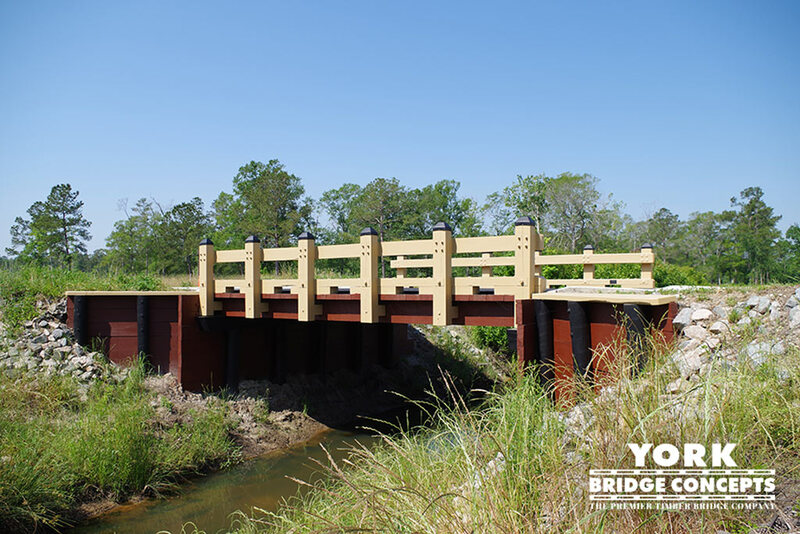 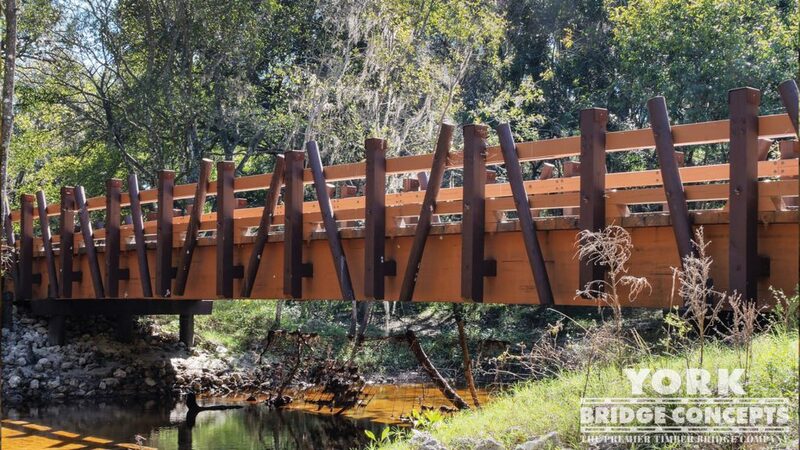 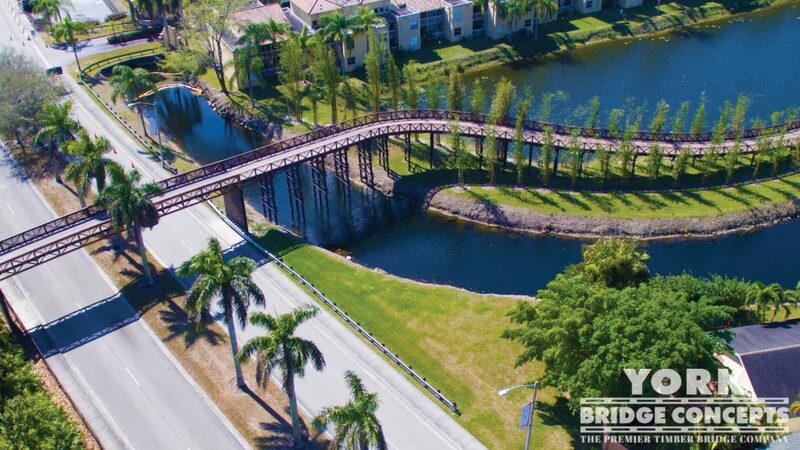 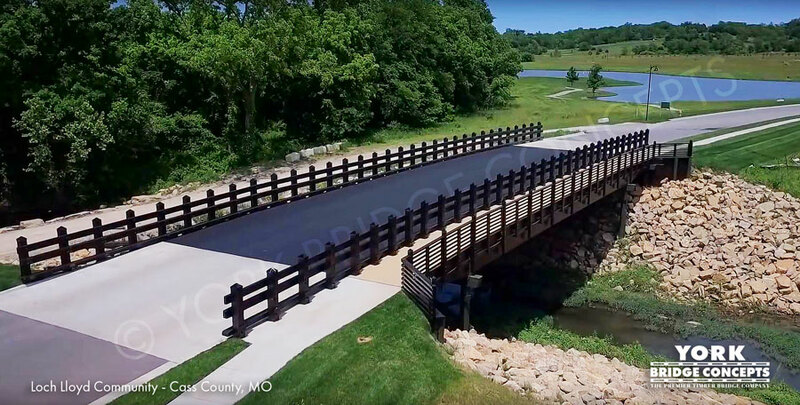 Addtionally, YBC has designed and installed two timber Golf Cart Bridges that cross the lake at Heritage Shores that serve as a connection within the golf course. 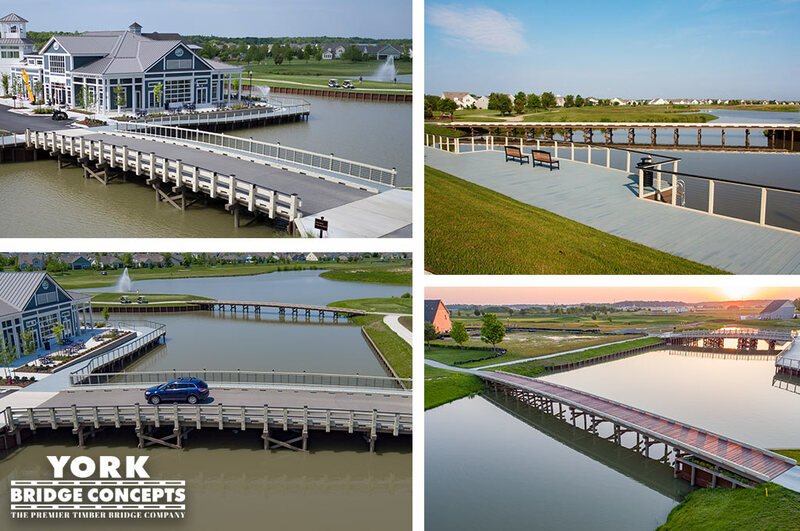 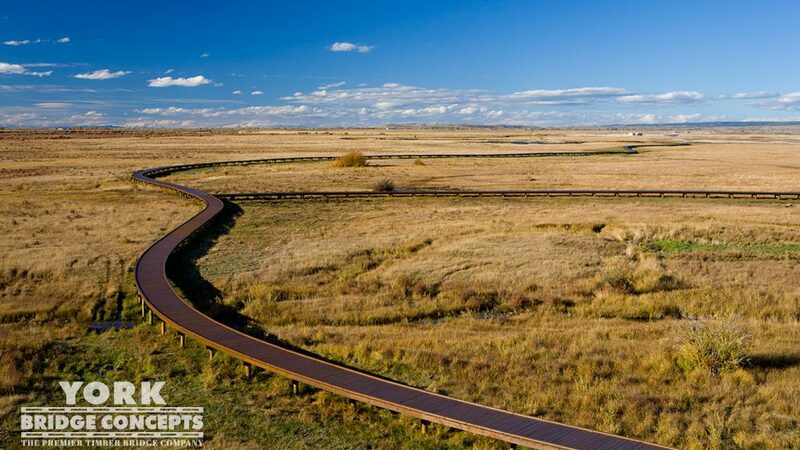 One bridge spans 140 feet long while the other spans 180 feet long, both 10 feet wide that glide over the water effortlessly and beautifully. 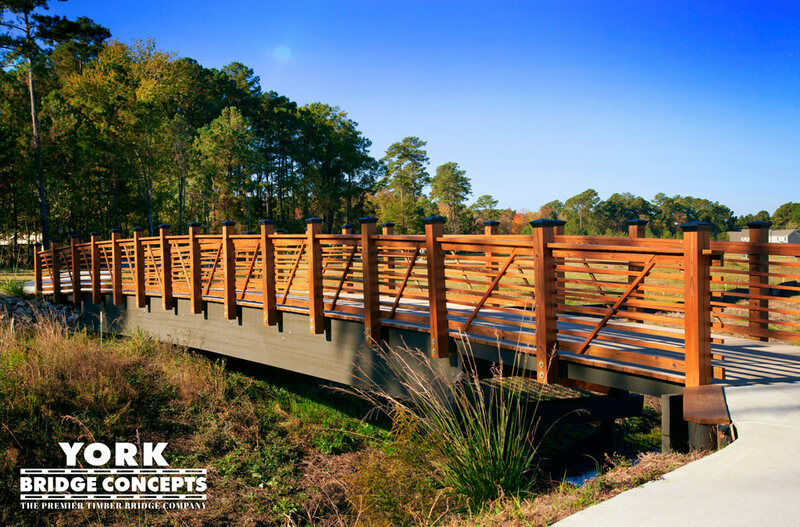 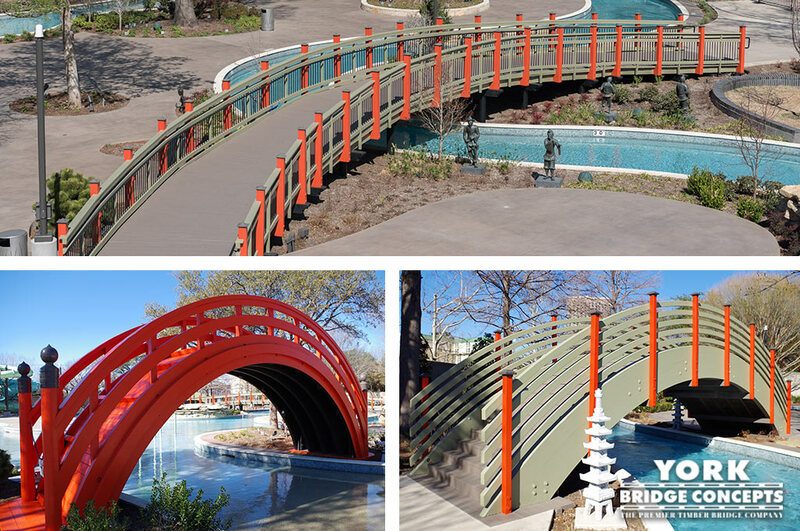 These timber structures feature YBC’s proprietary Textured Polymer Coating and 5.5” high timber curbing to provide longevity and aesthetics for years to come. 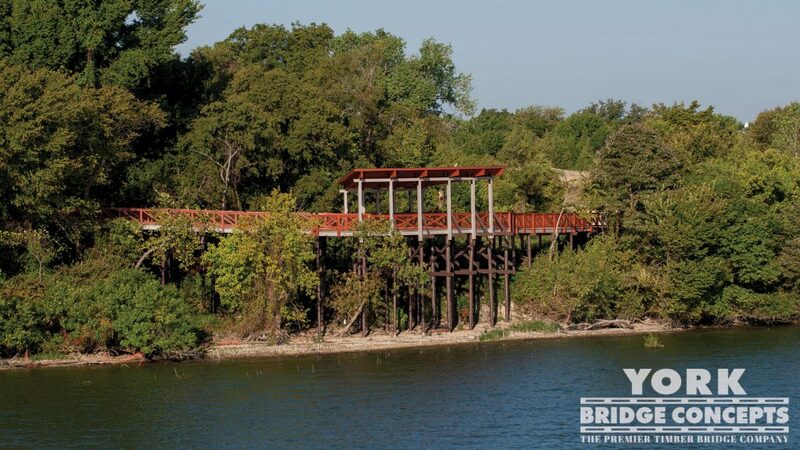 "This is quite the accomplishment. 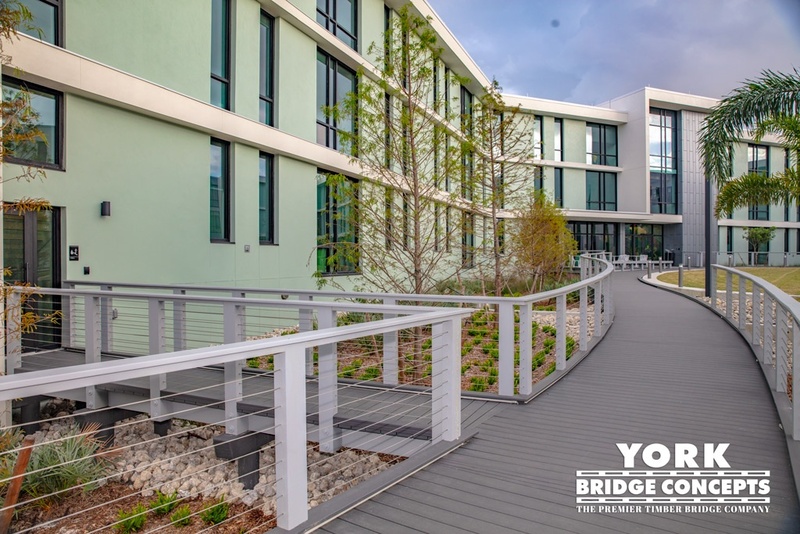 We have nothing but great things to say about York Bridge. 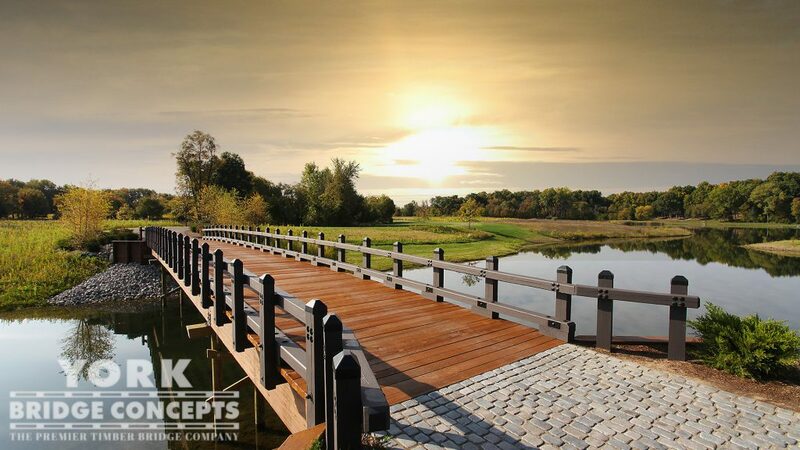 Everyone has been very professional and a pleasure to work with. 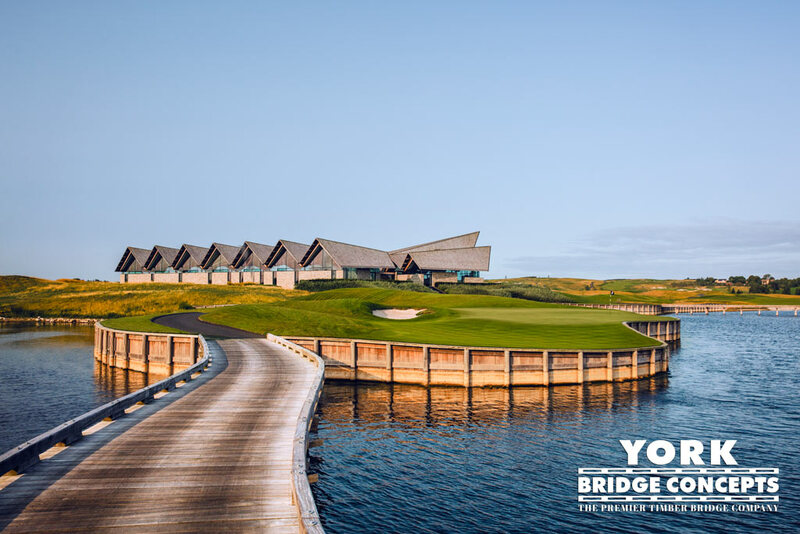 YBC was diligent in their pursuit to deliver a top notch product within the time frame established for completion of the work with very little impact to the daily operation of the club. 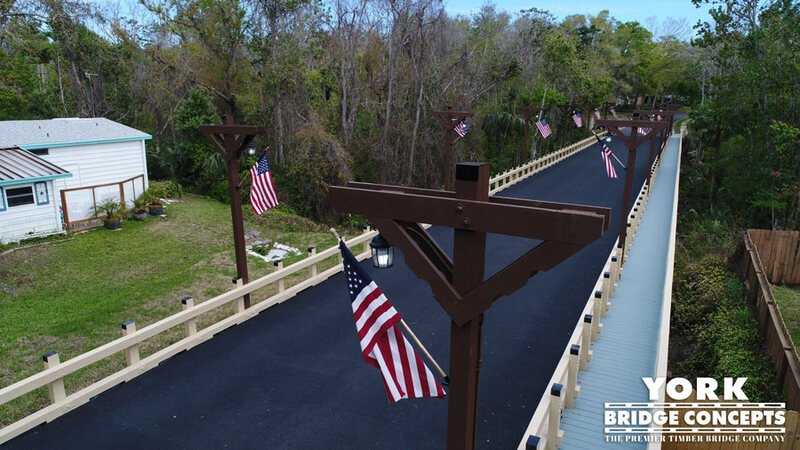 I can say that it was a huge success. 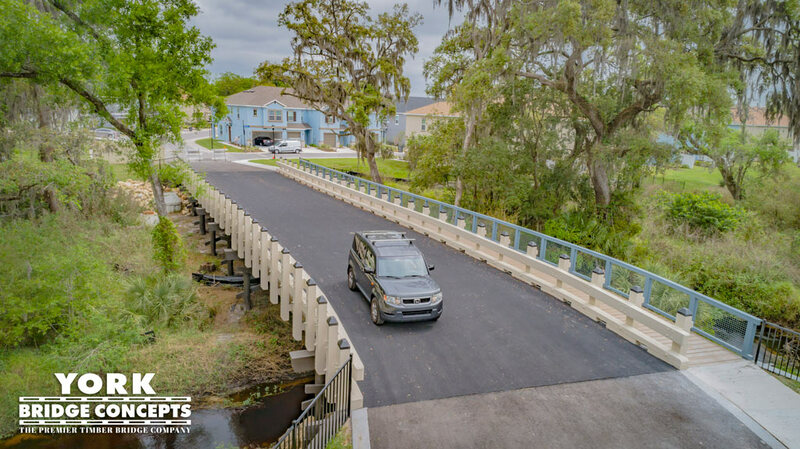 We are extremely pleased with the process and end product and the residents of Heritage Shores are already echoing the same sentiment. 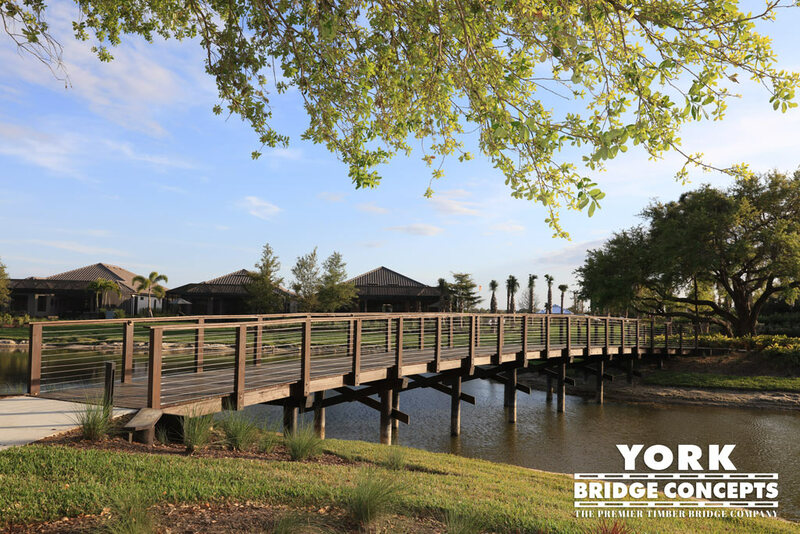 We found the folks at YBC to be professional, polite, and eager to help out in areas outside of their contract. 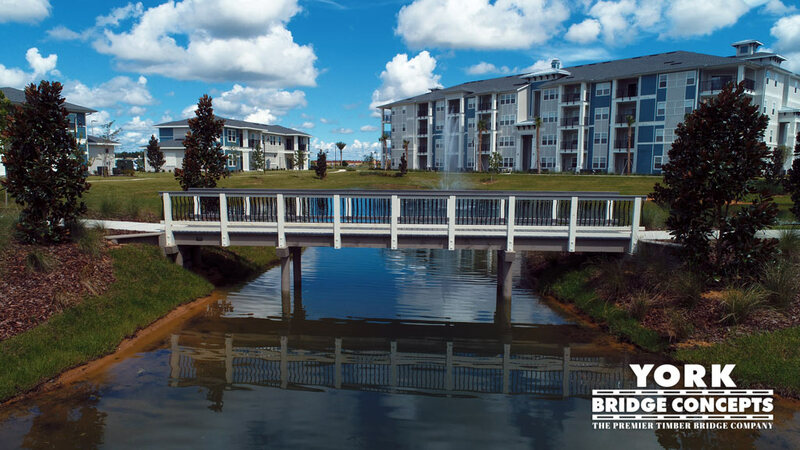 Their office was quick to respond to our concerns and field changes that occurred. 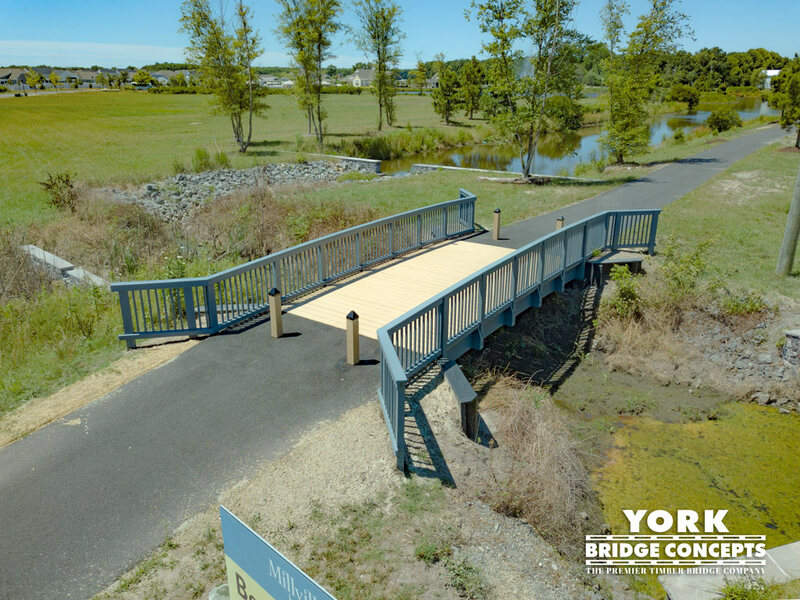 Their field crews, both during construction and later during the York Bridge Services™ portion of the work, were cooperative, knowledgeable and considerate. 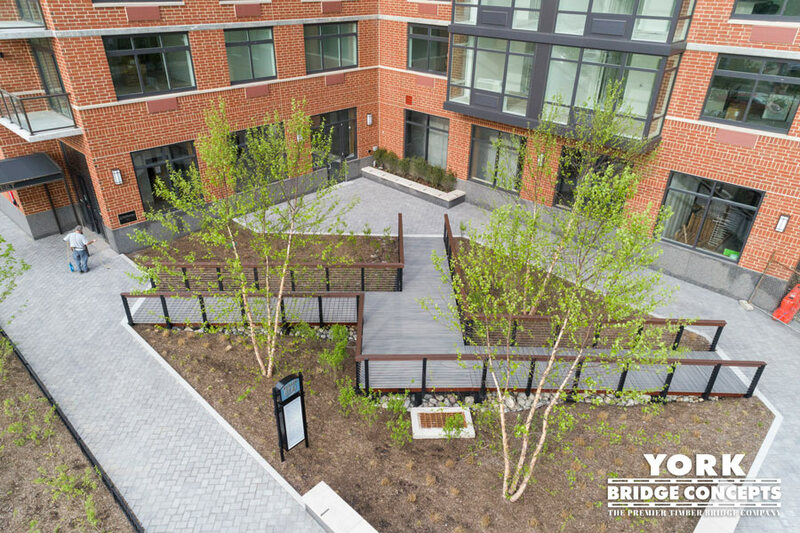 All of the YBC crews kept a clean and organized site, which was very important to us as we had a functioning community around the area of work. 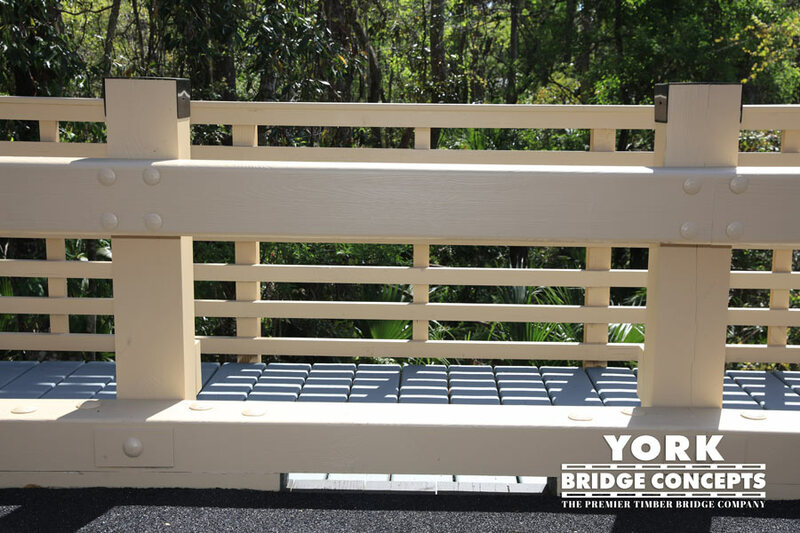 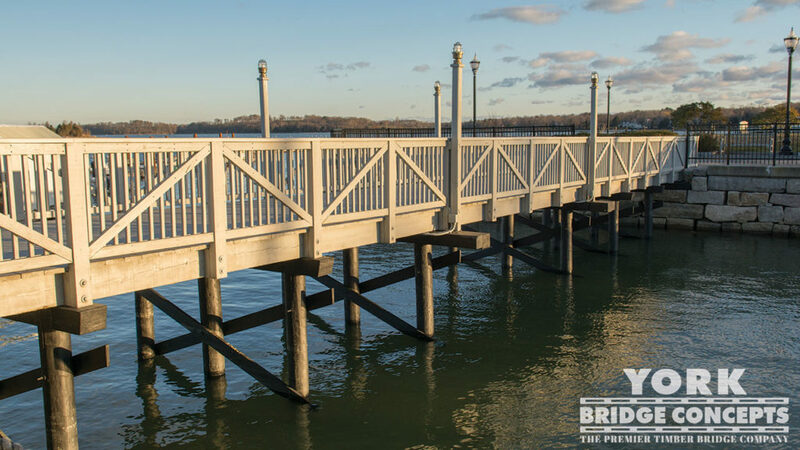 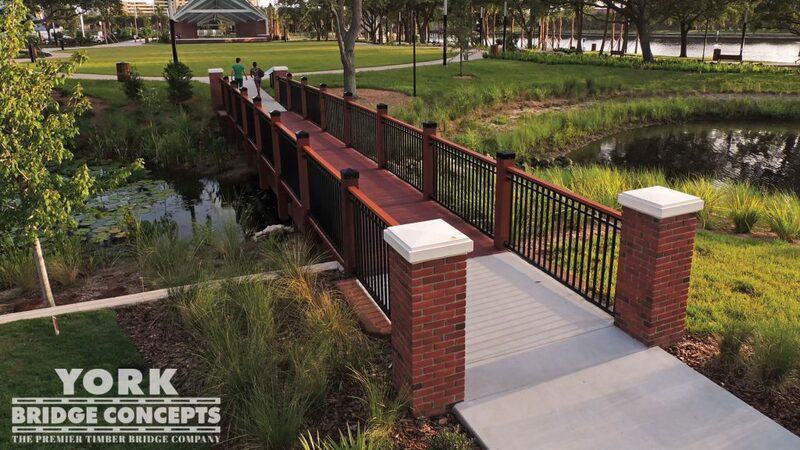 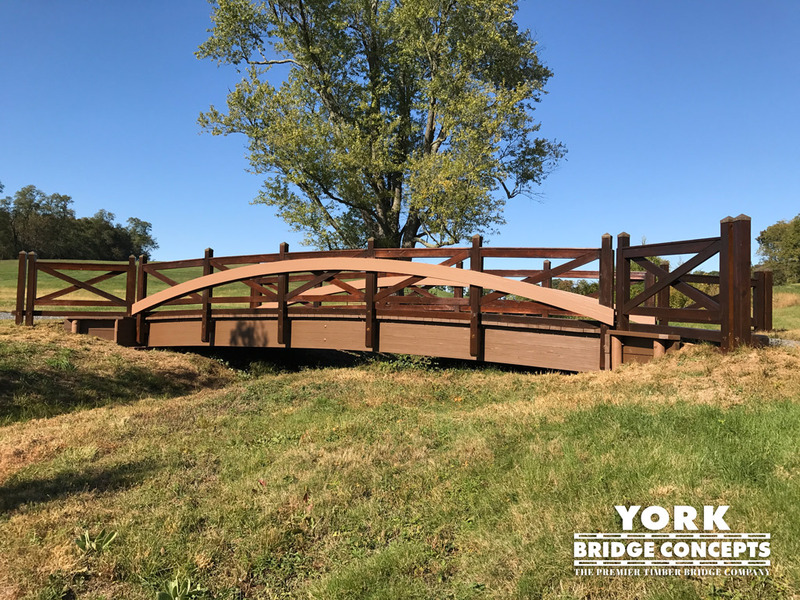 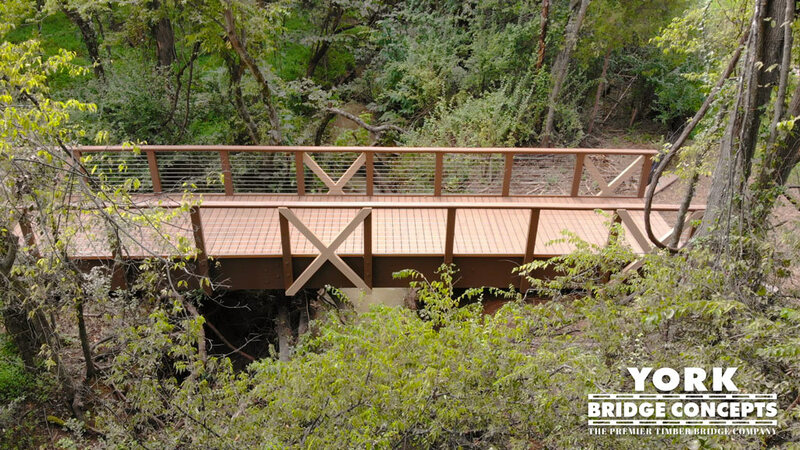 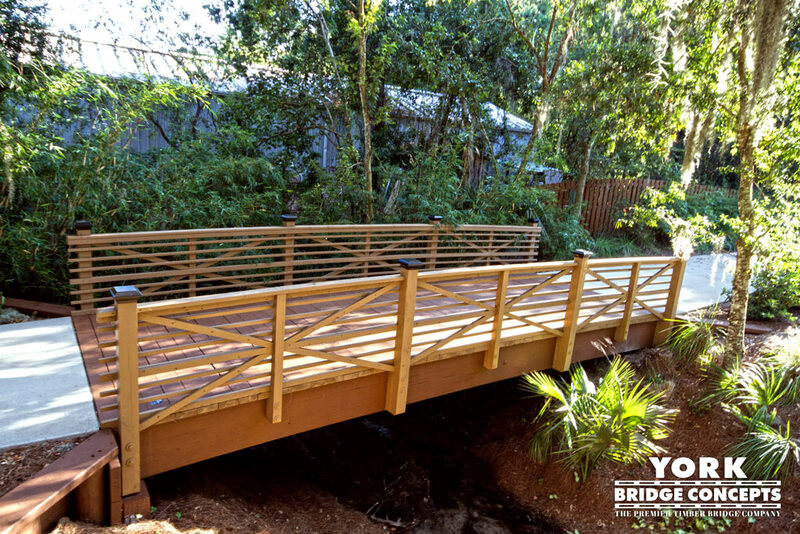 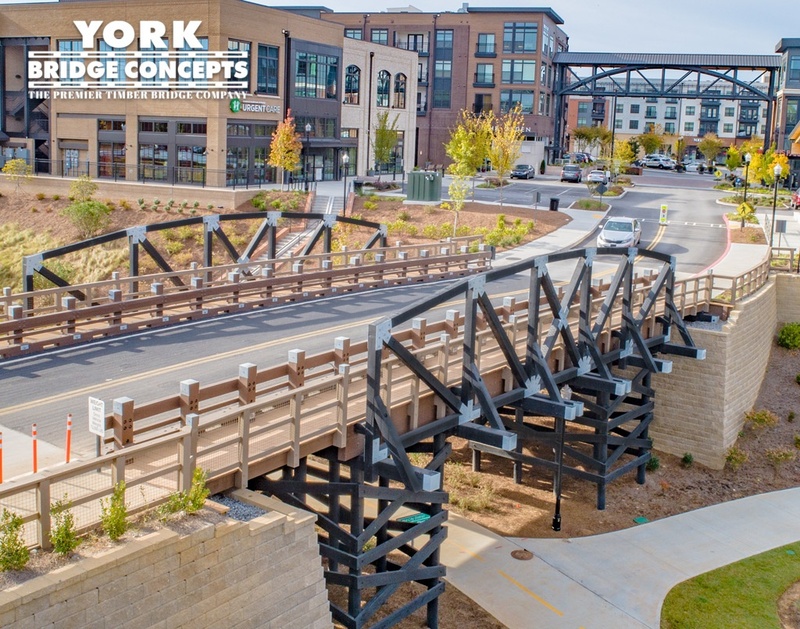 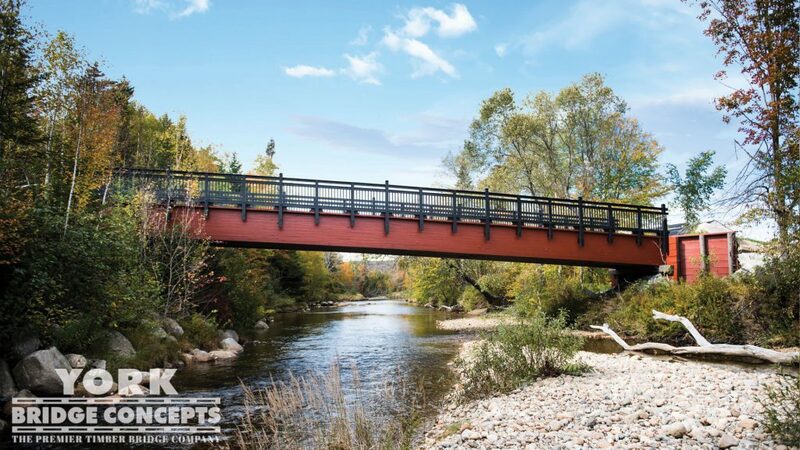 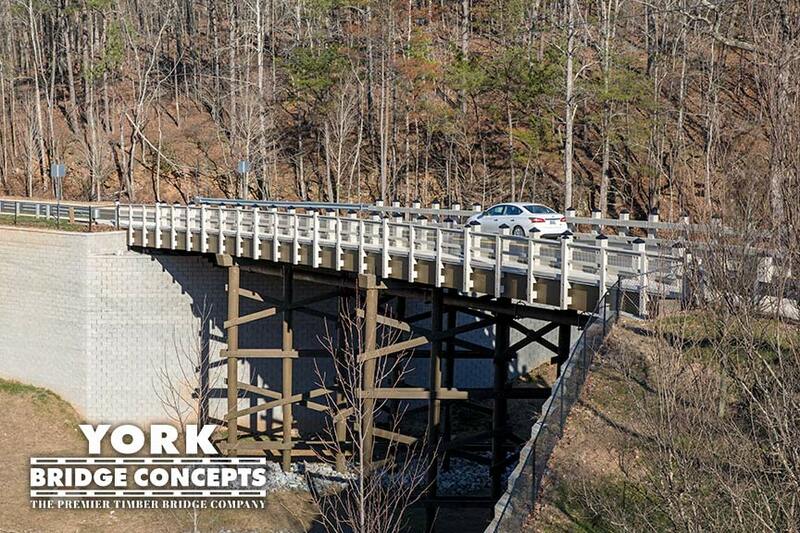 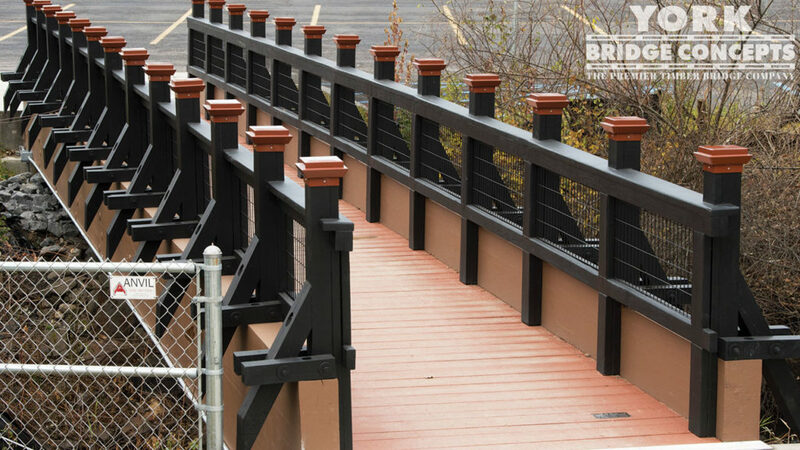 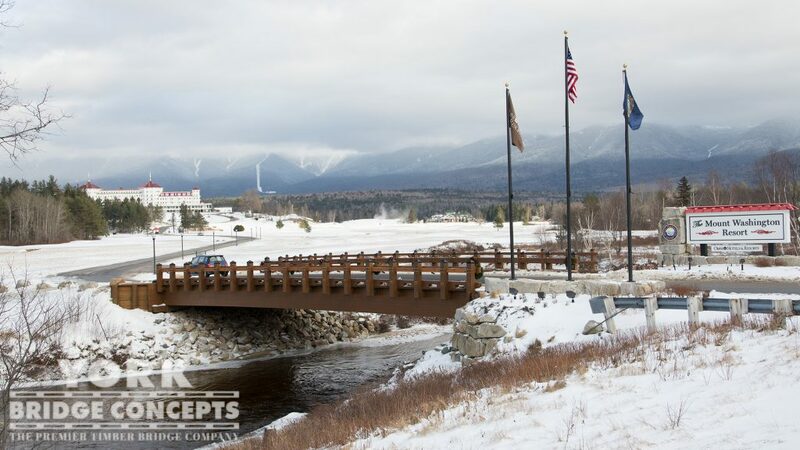 We would whole-heartedly recommend YBC for any and all such work and will call no one but York Bridge Concepts™ for any similar work on future projects that we have."